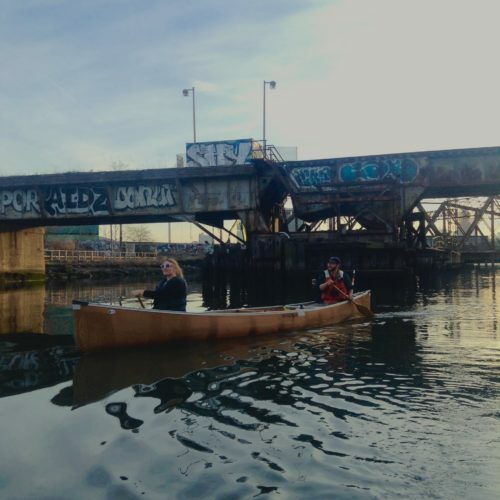 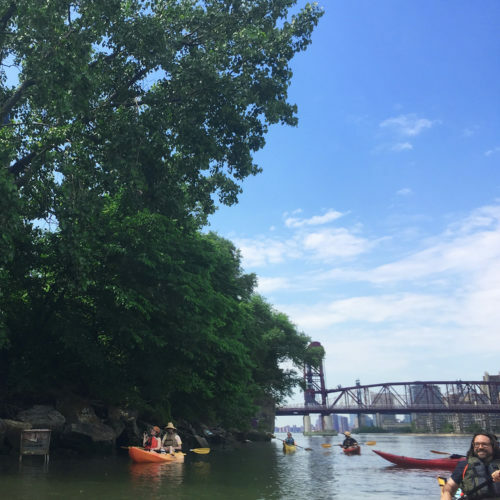 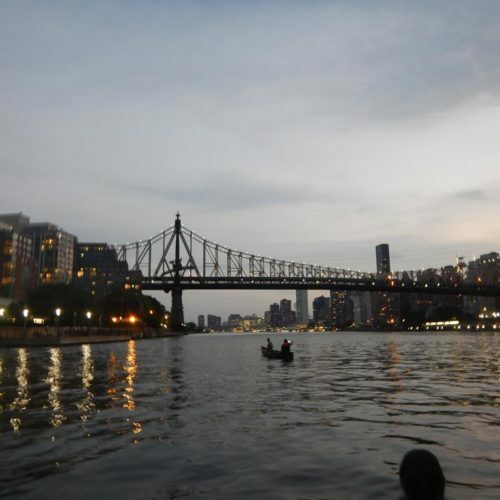 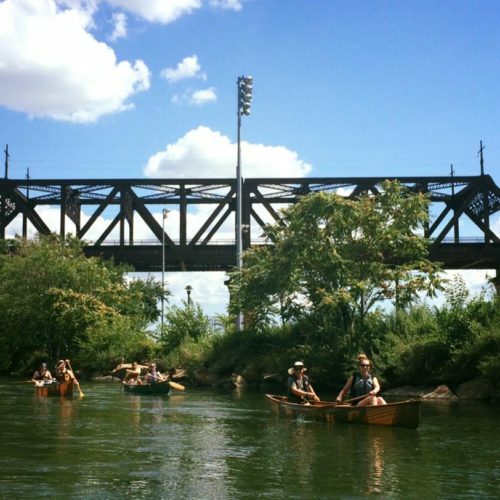 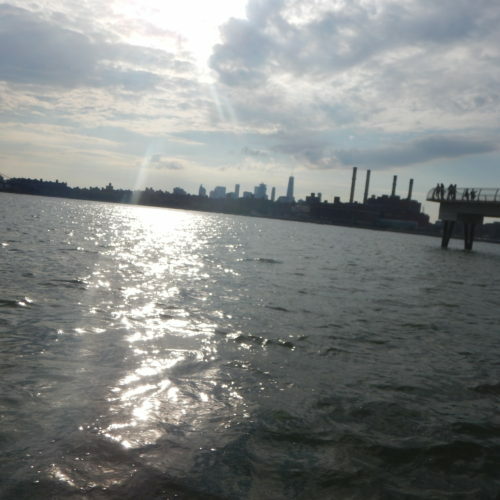 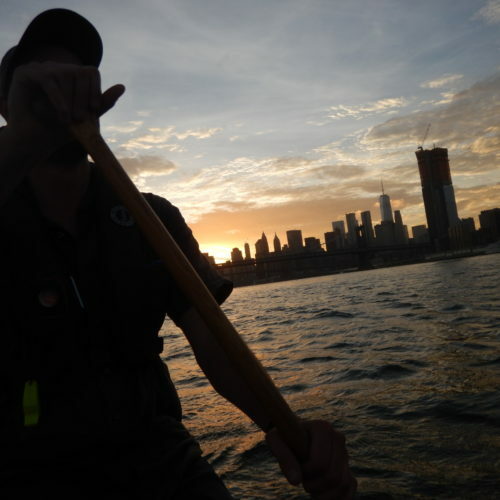 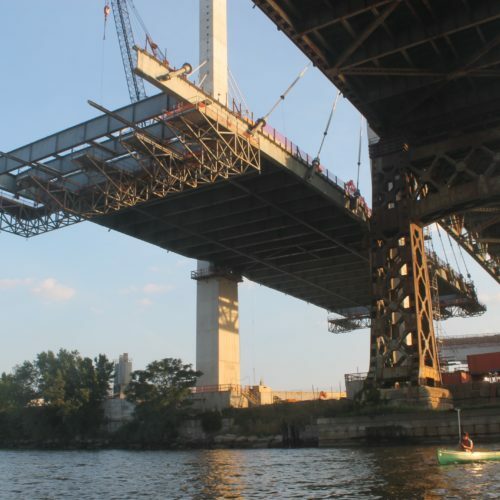 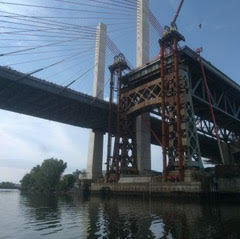 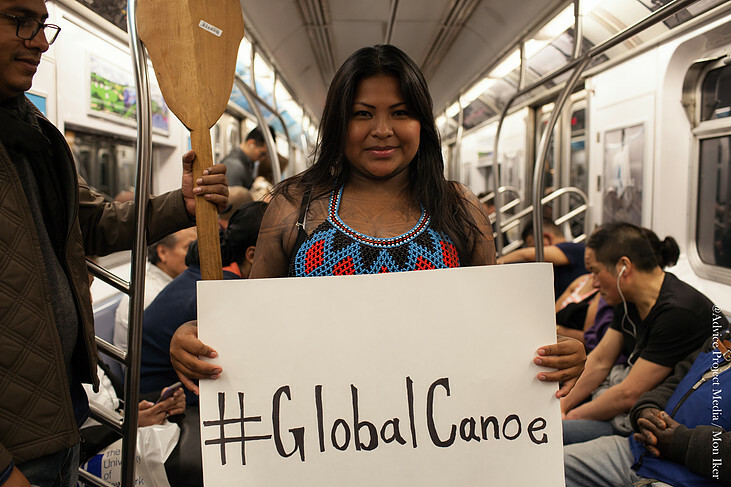 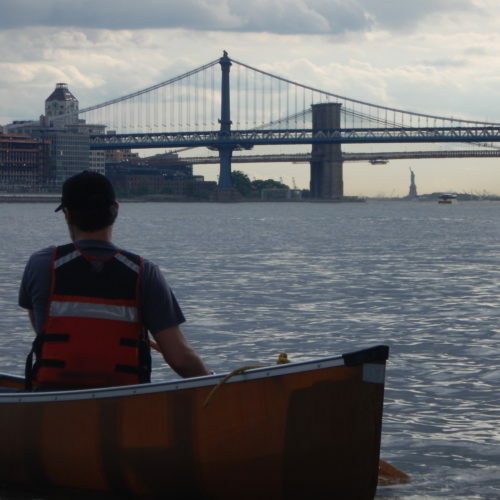 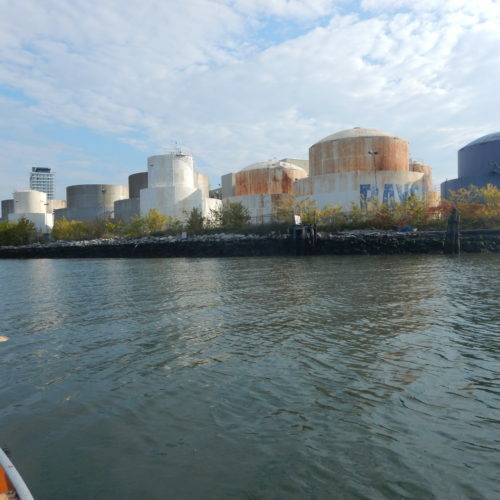 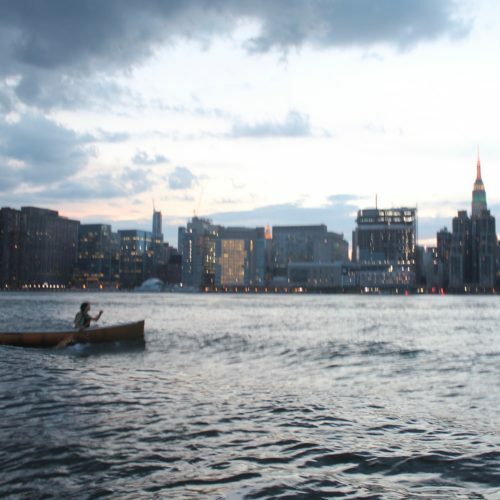 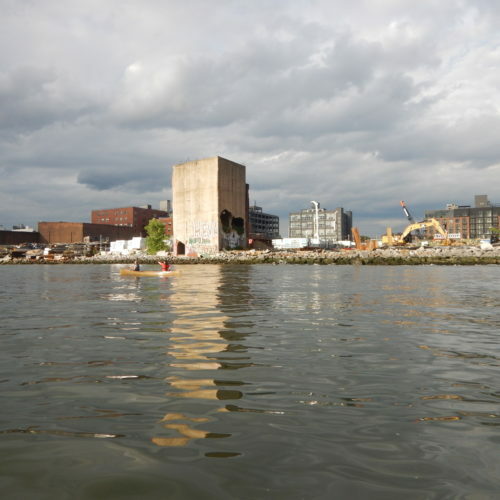 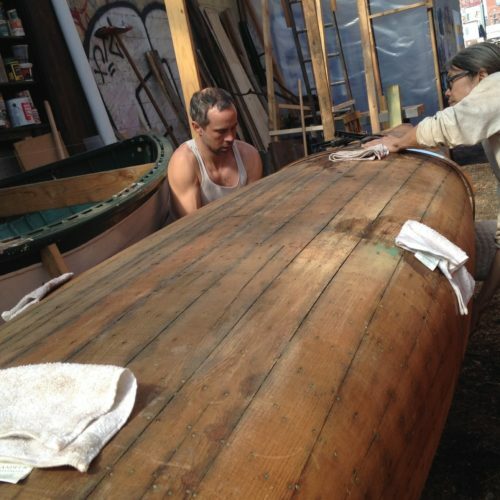 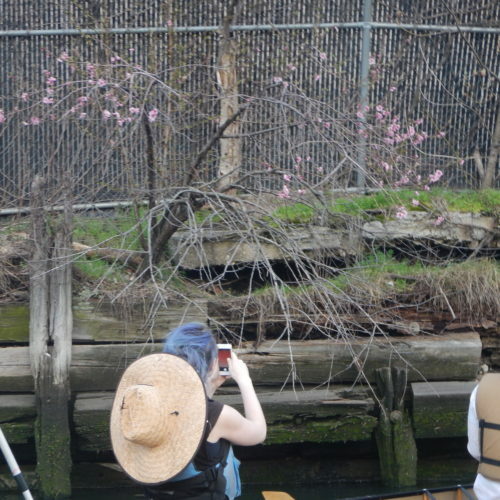 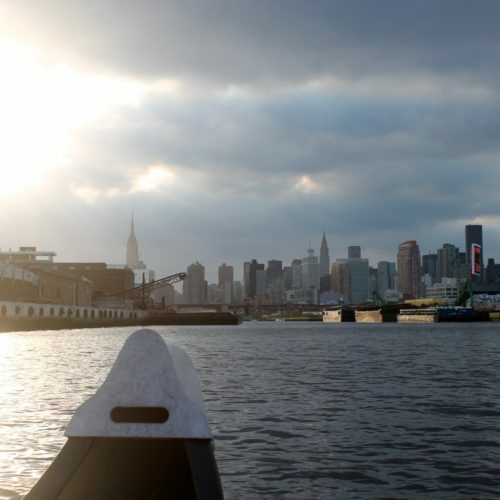 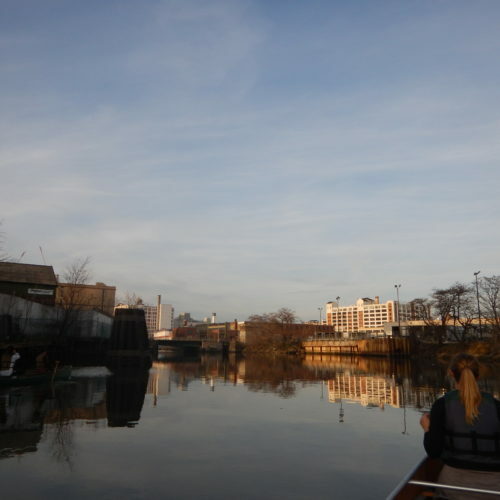 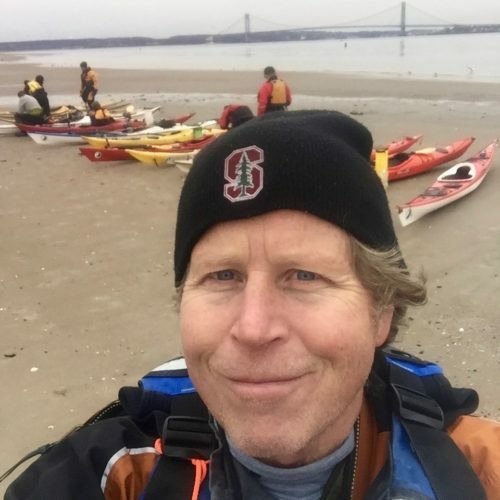 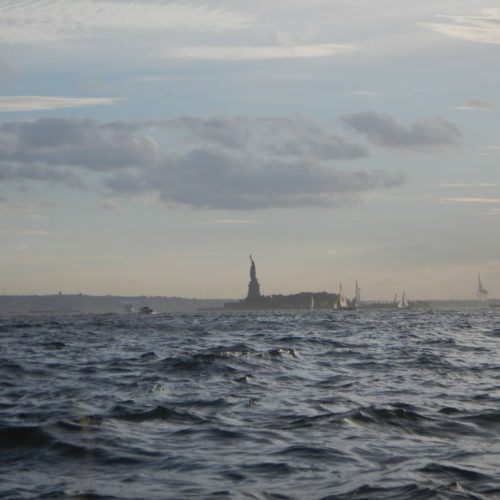 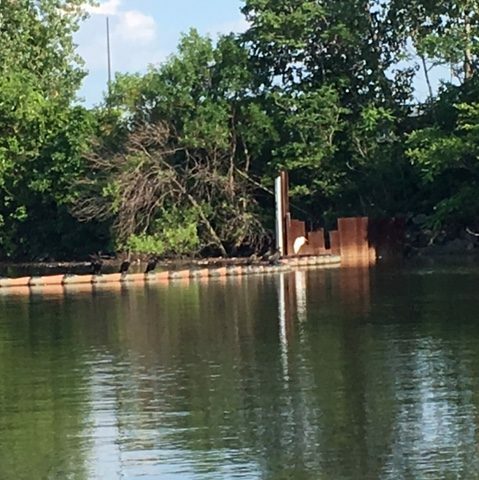 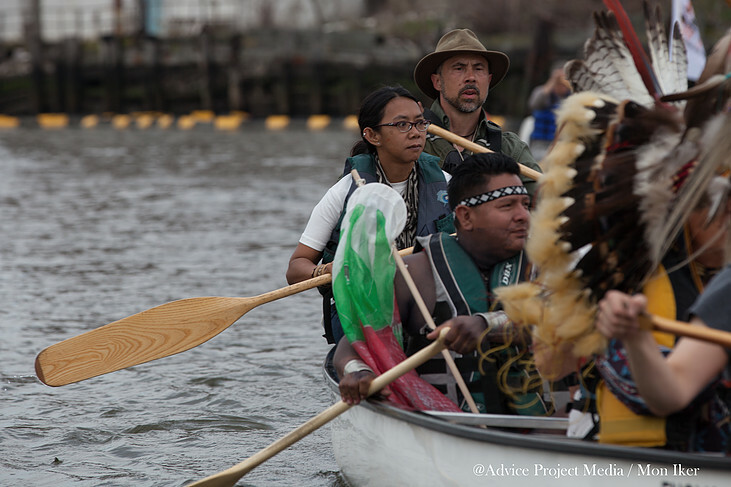 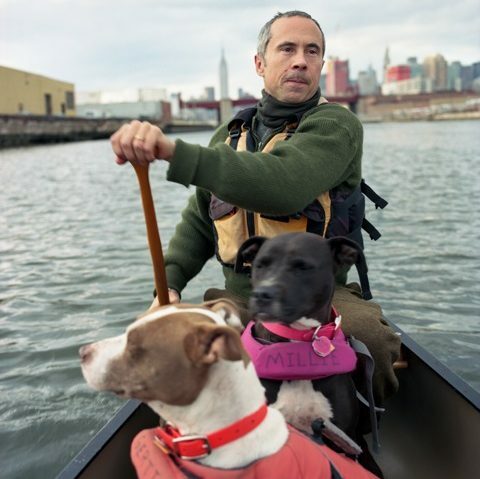 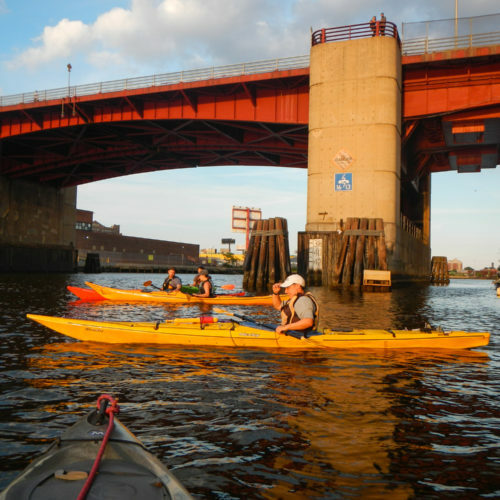 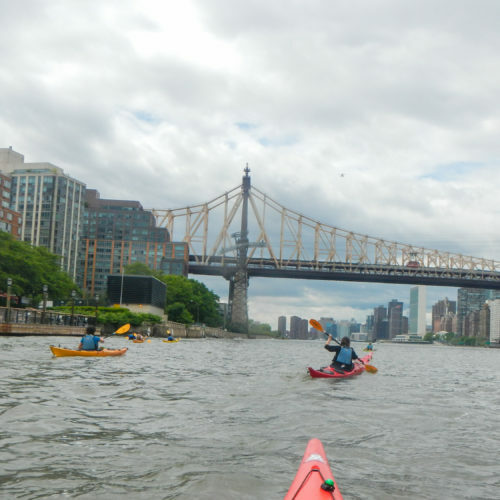 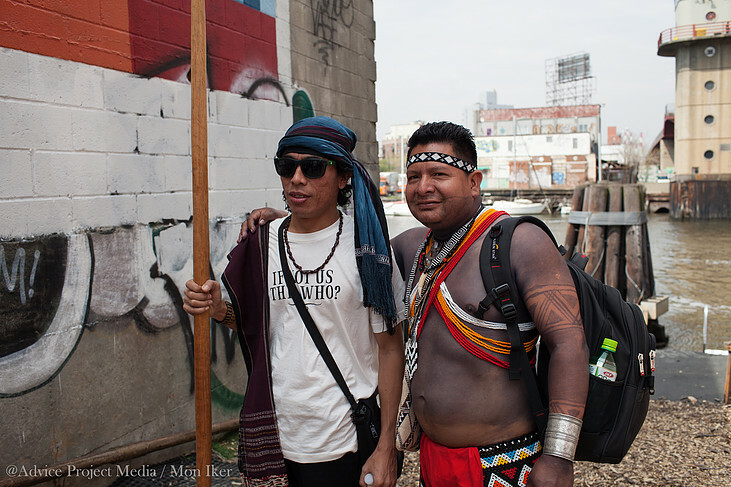 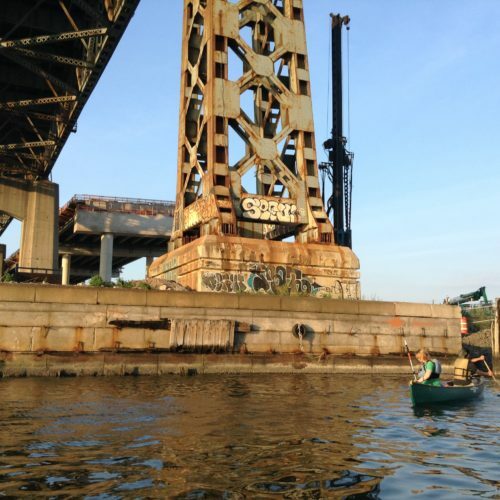 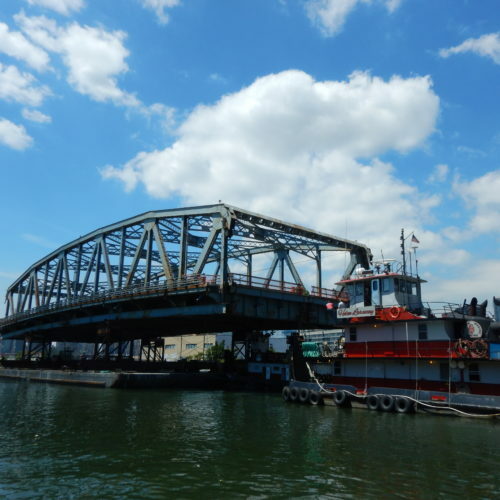 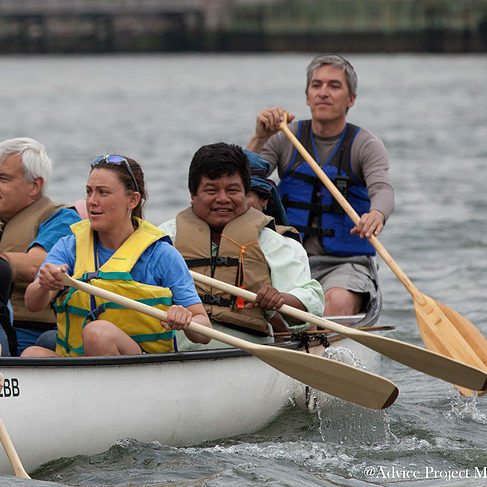 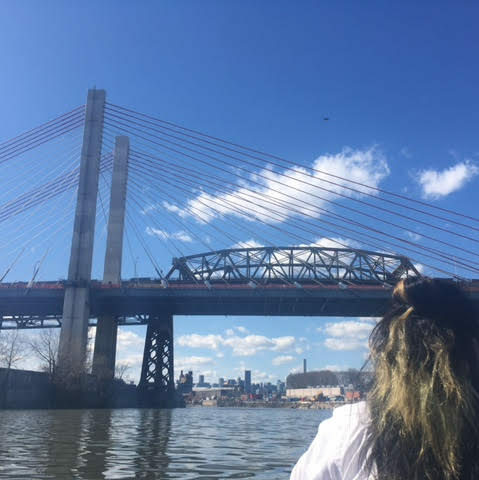 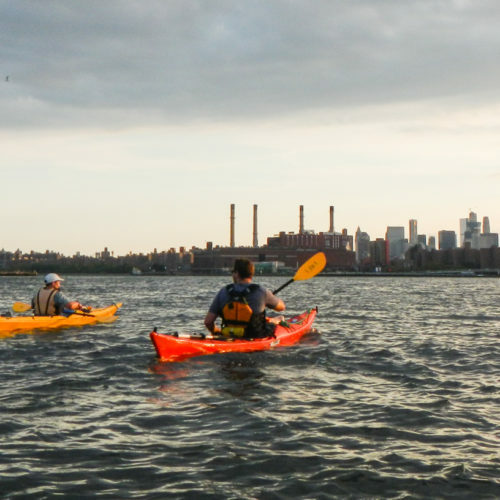 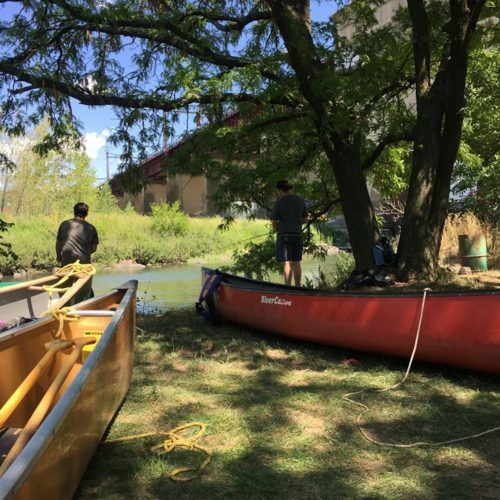 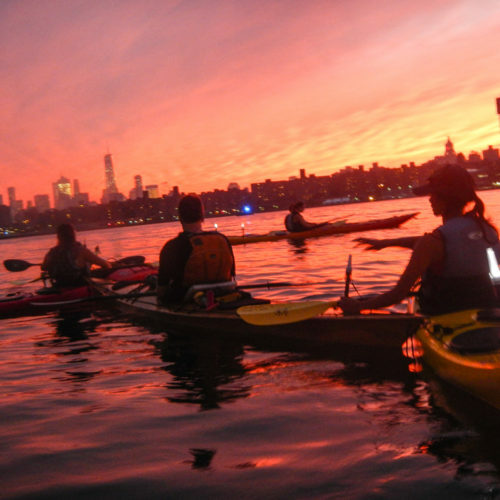 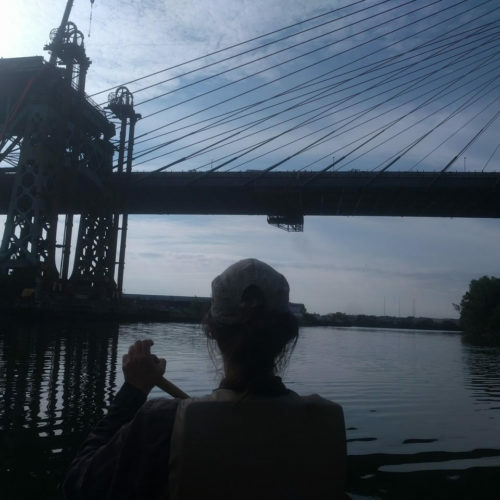 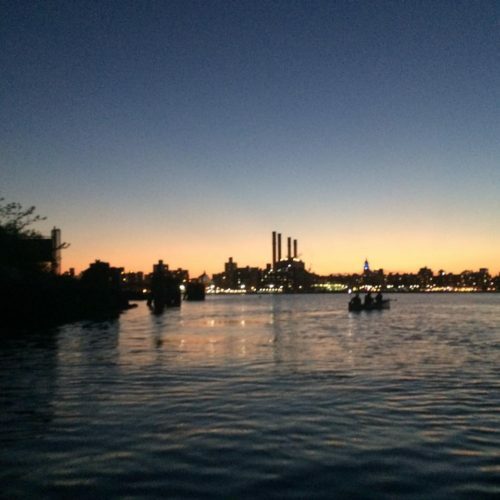 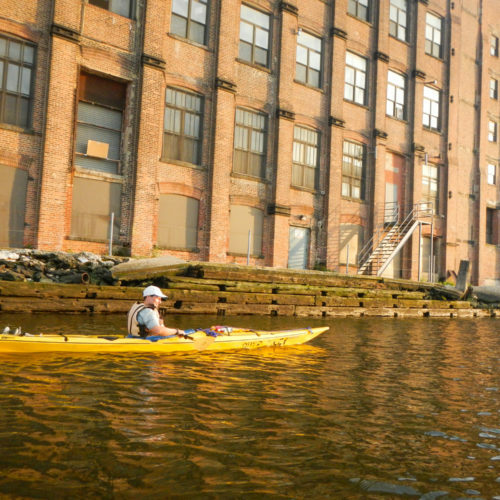 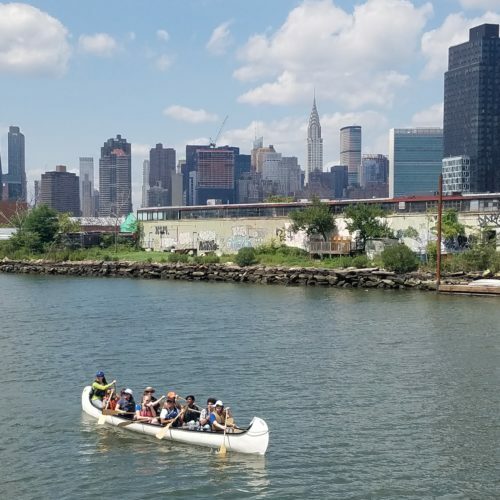 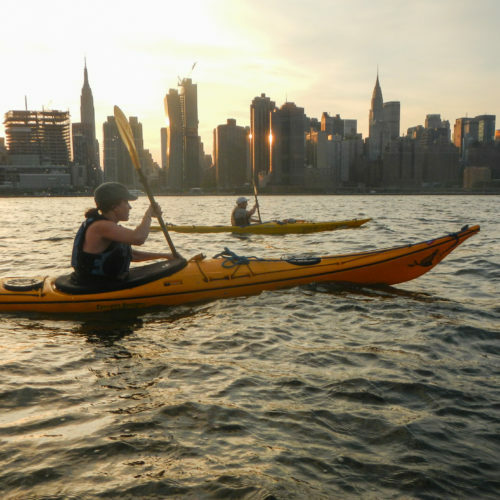 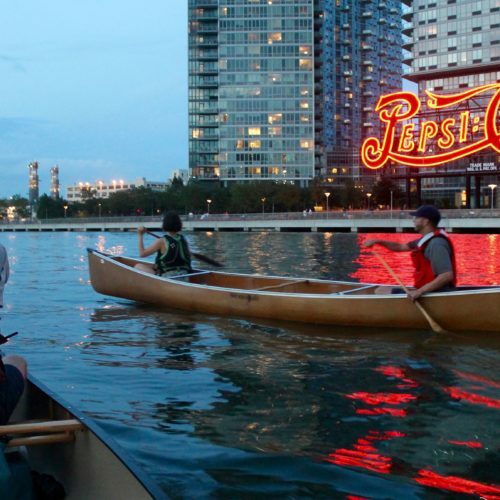 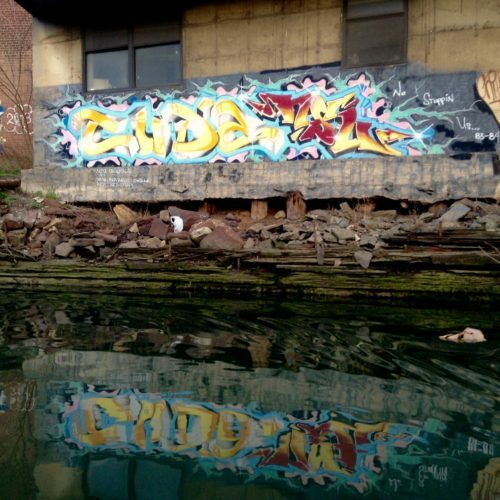 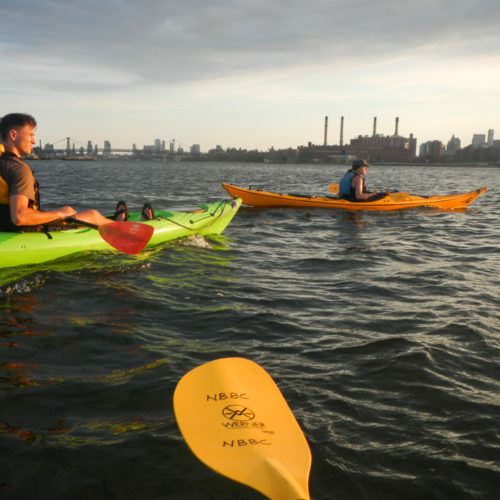 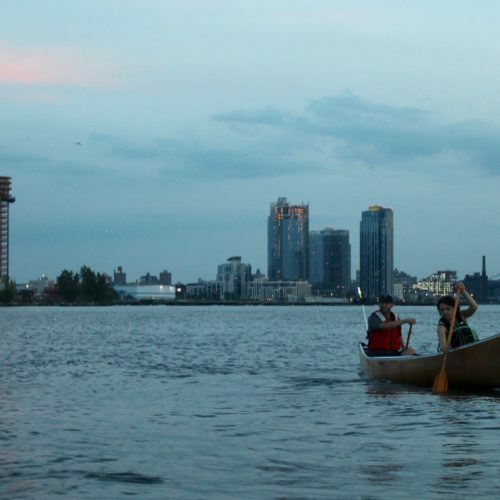 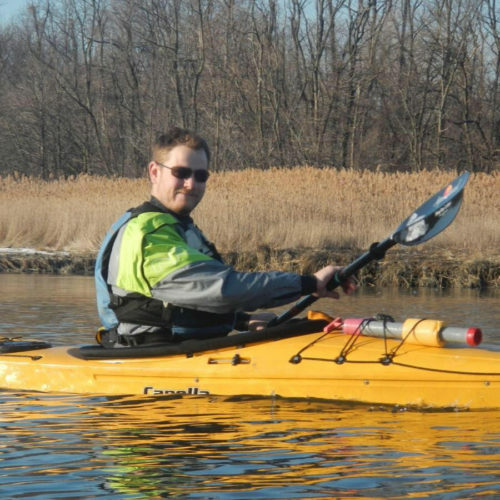 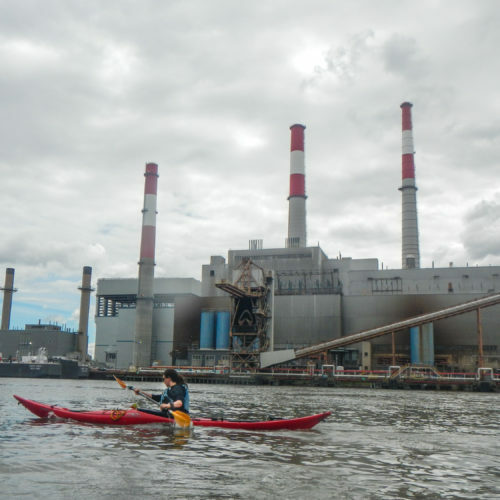 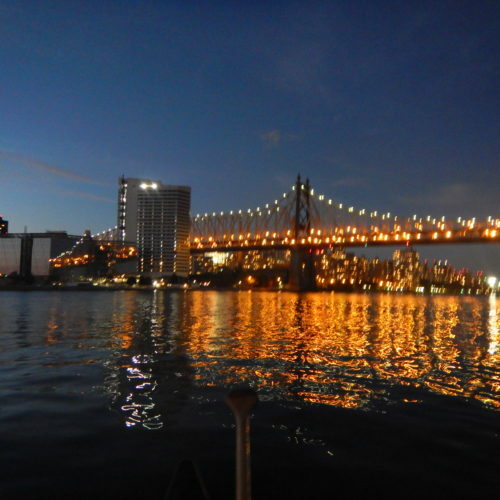 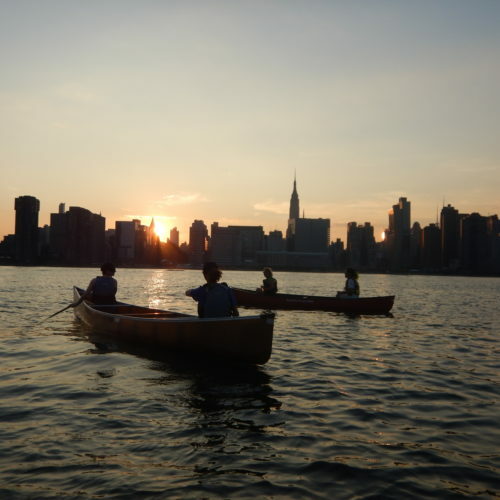 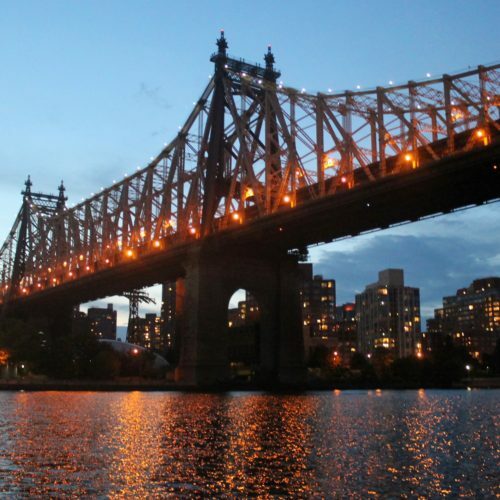 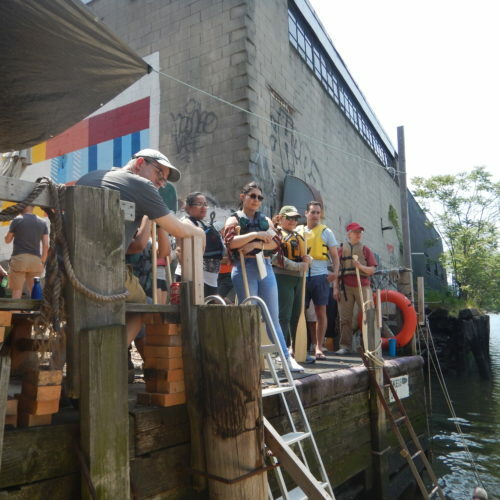 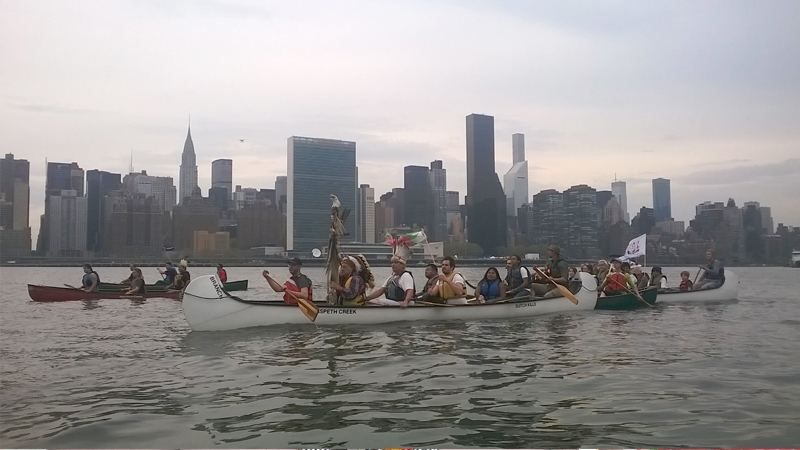 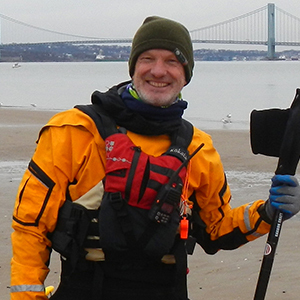 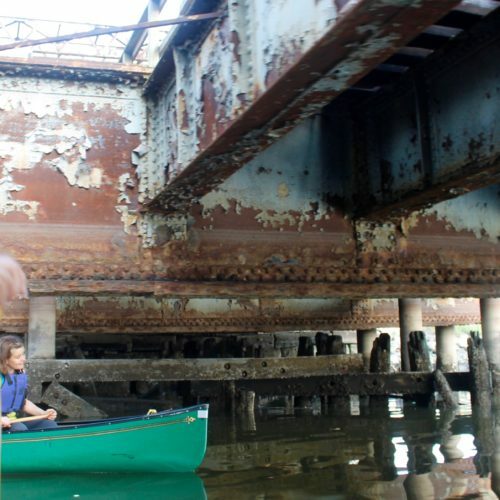 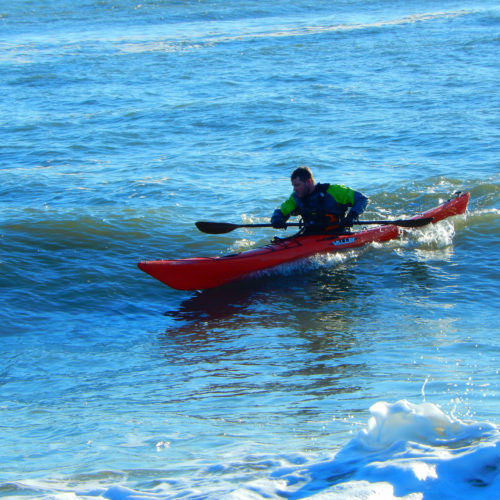 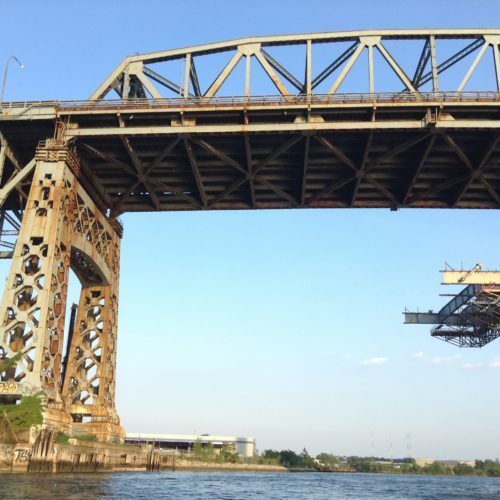 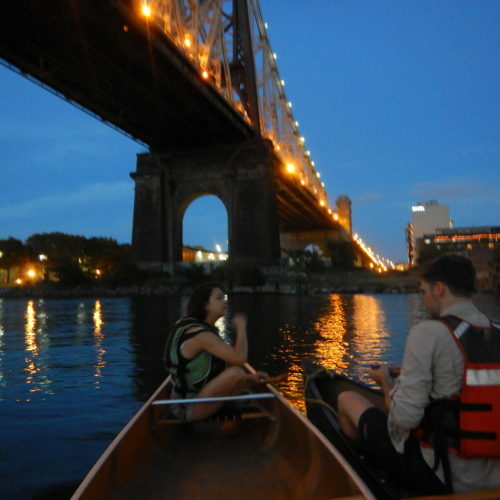 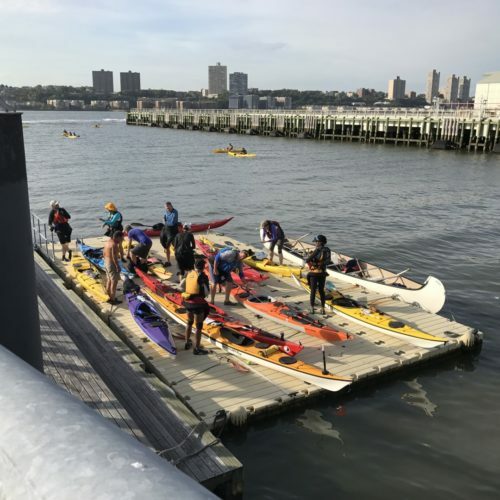 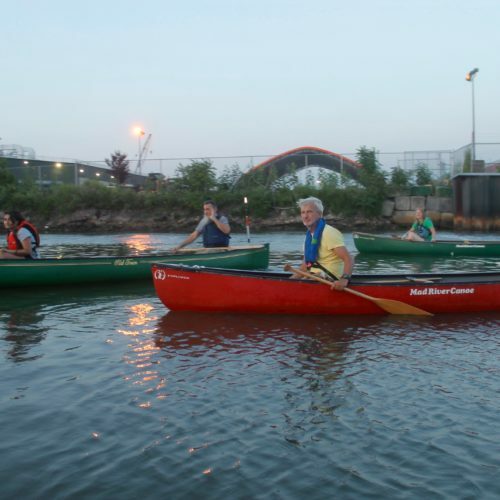 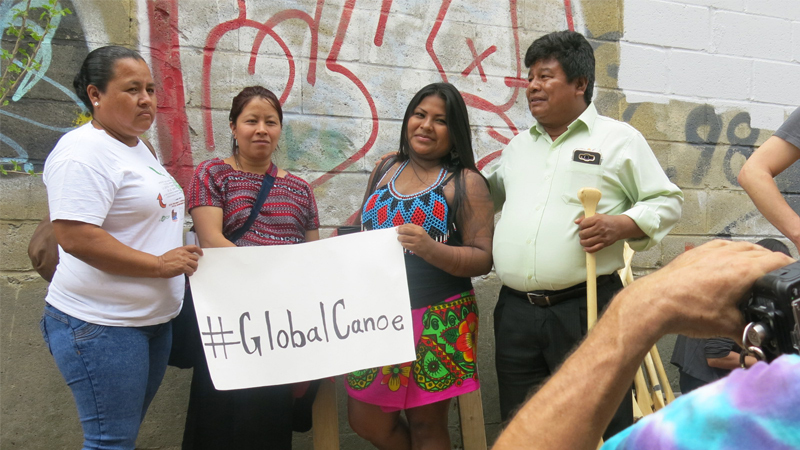 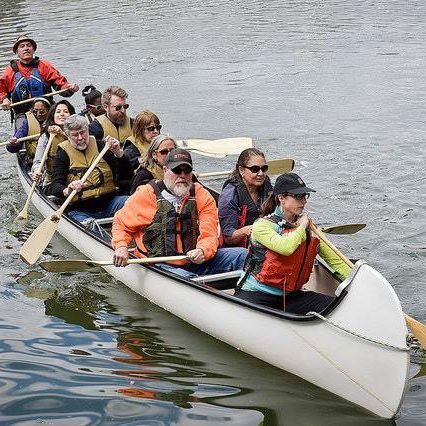 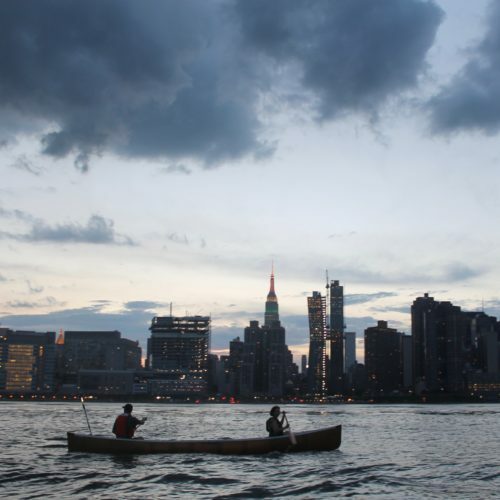 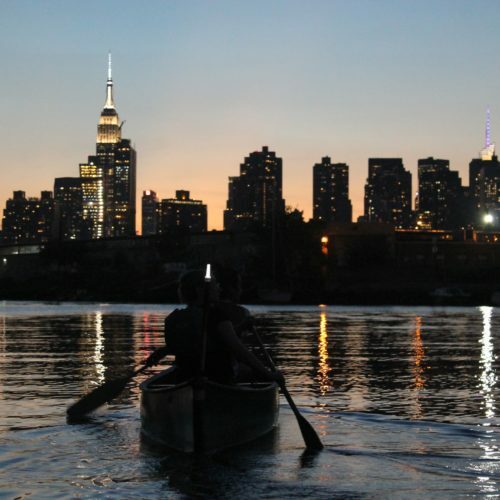 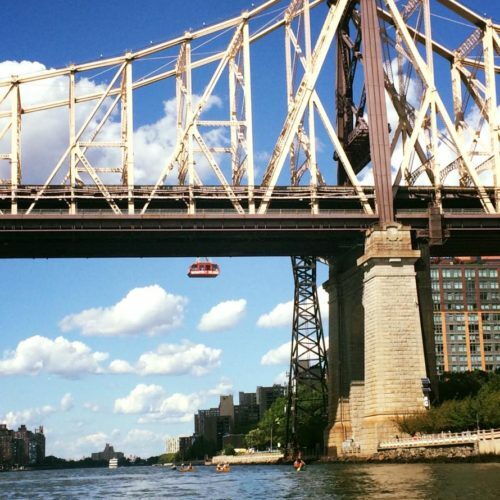 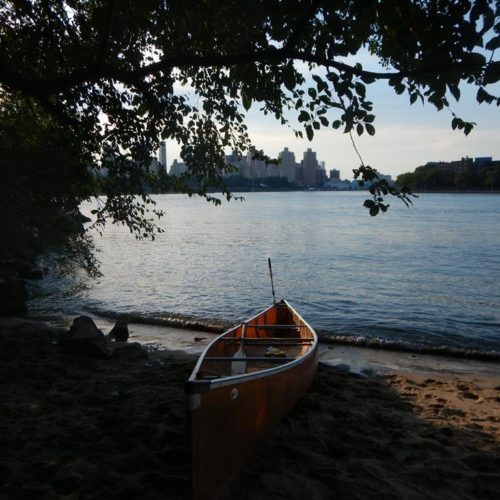 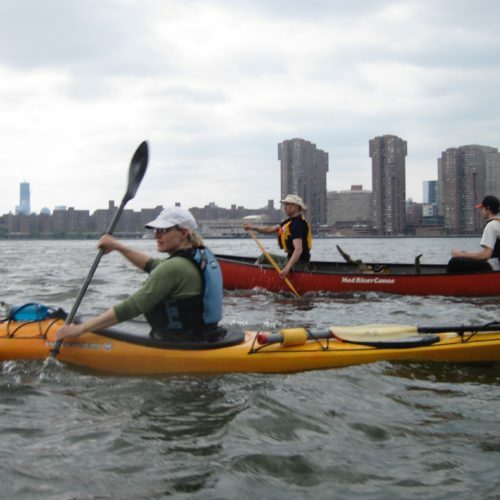 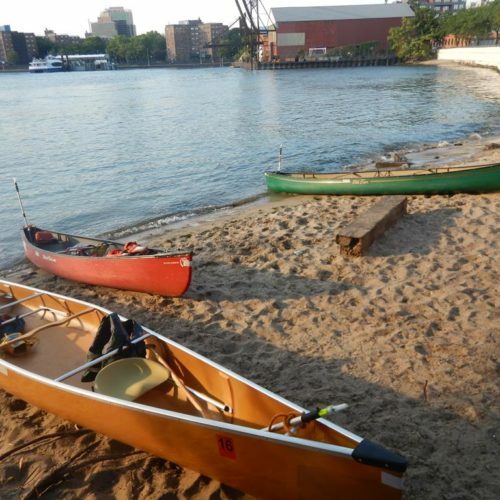 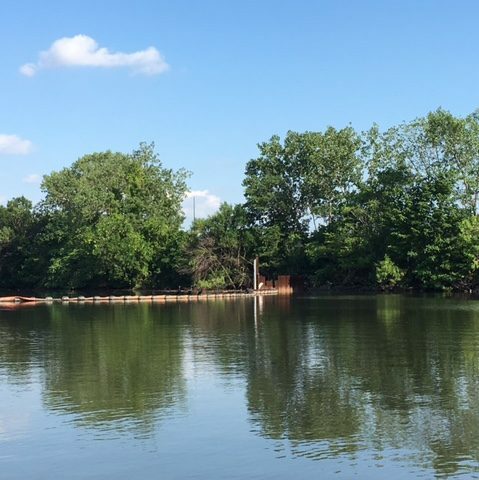 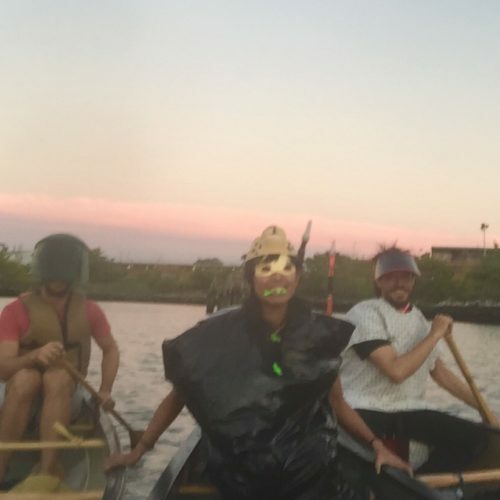 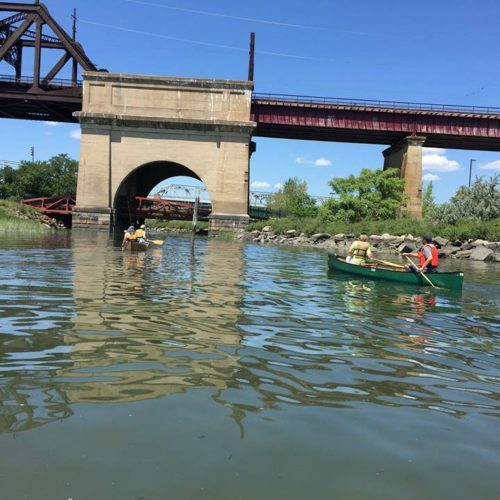 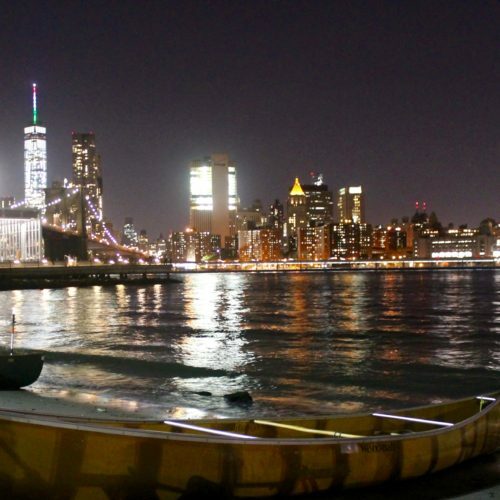 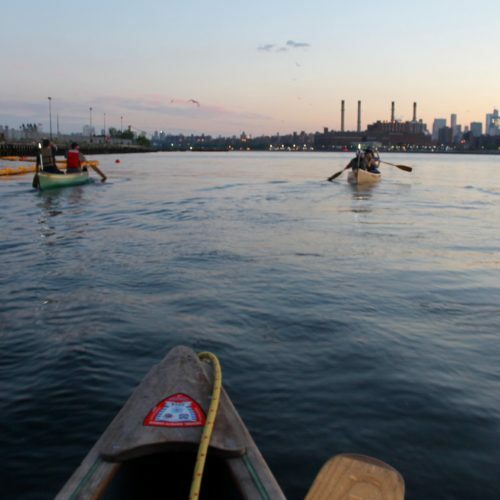 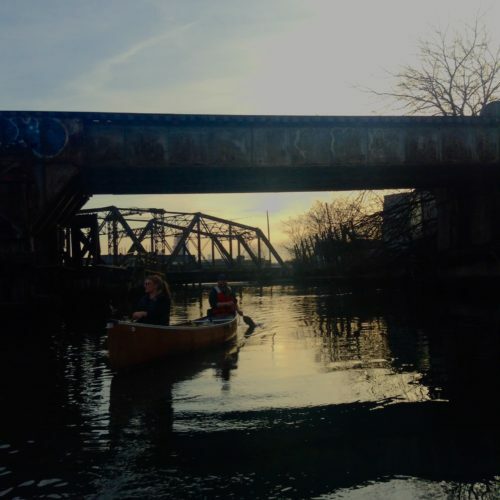 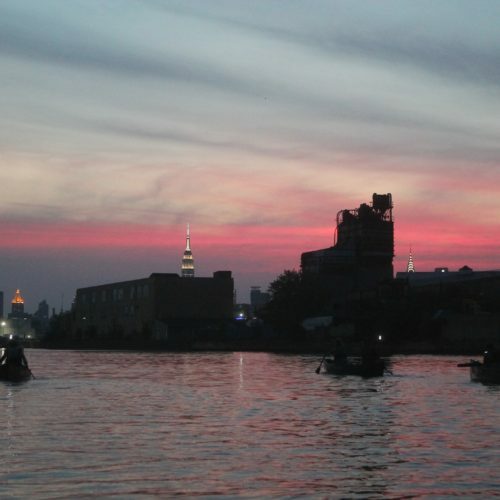 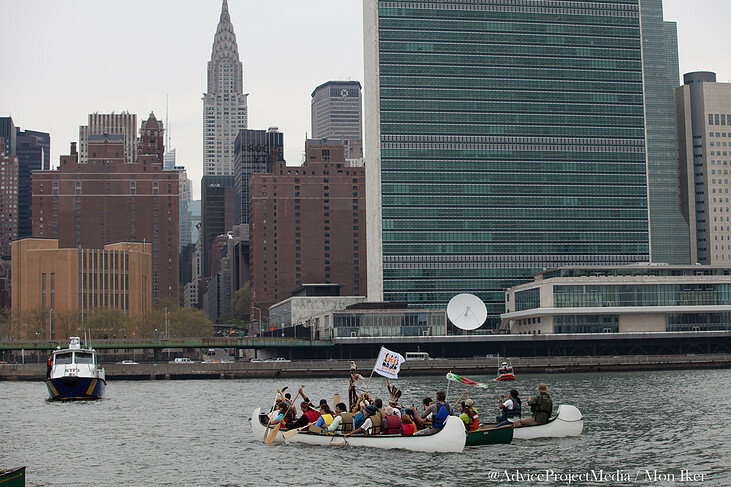 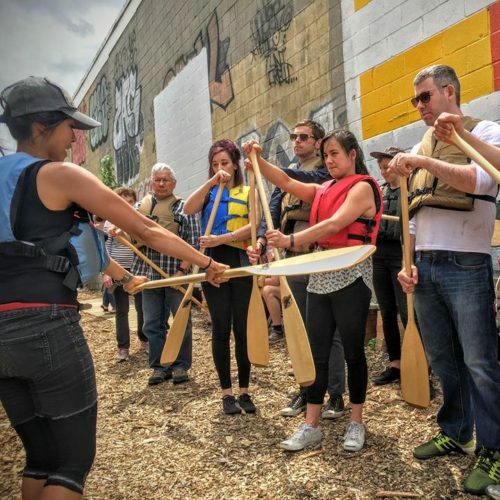 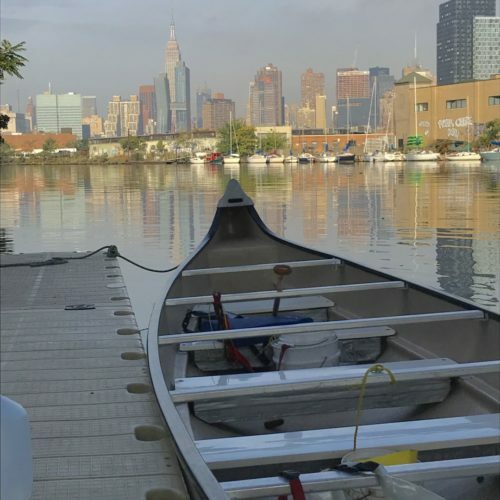 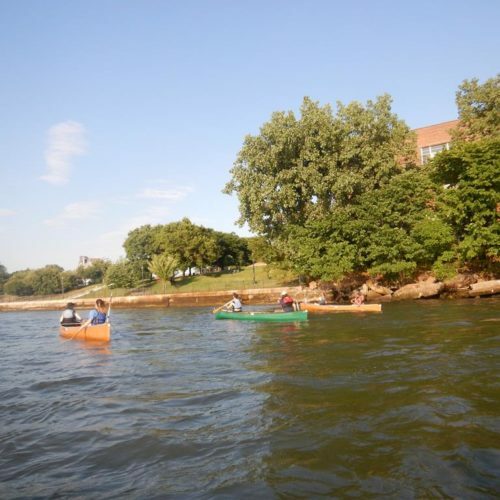 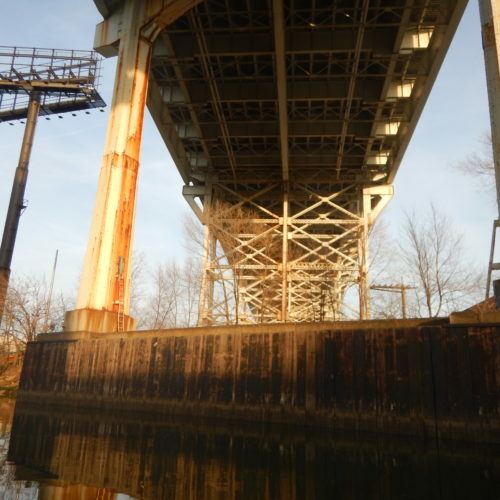 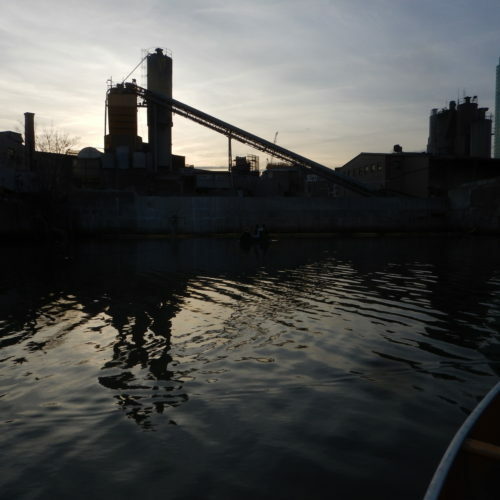 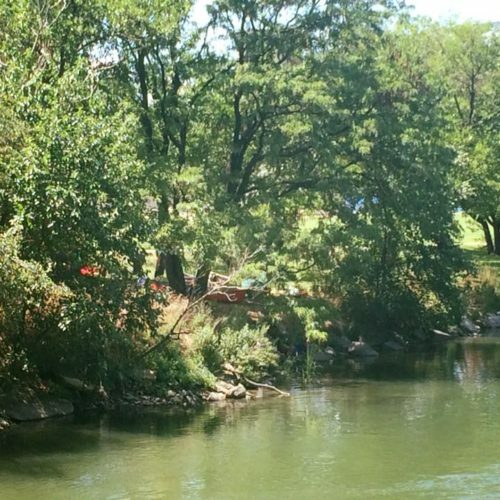 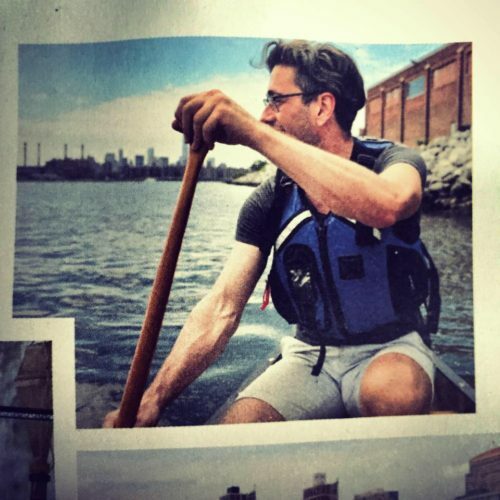 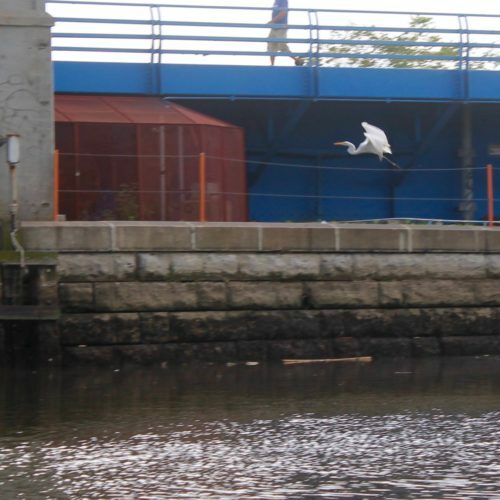 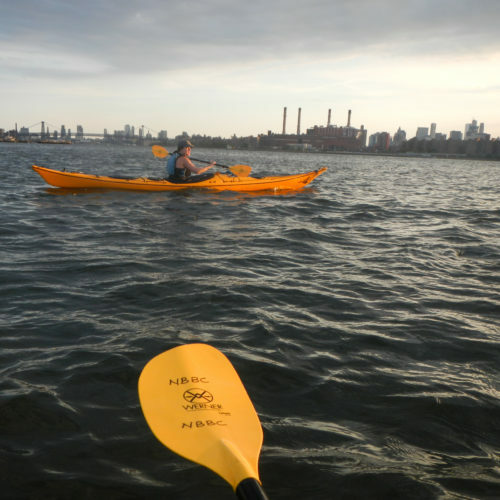 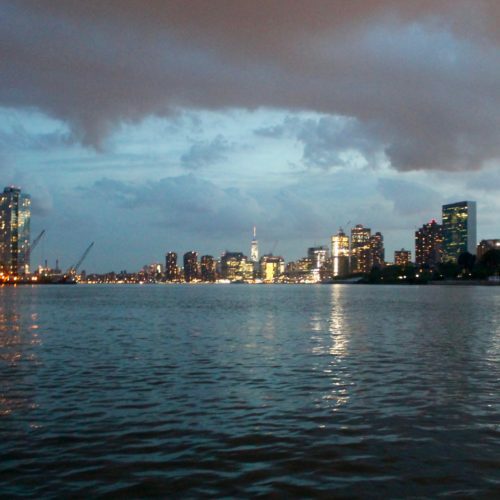 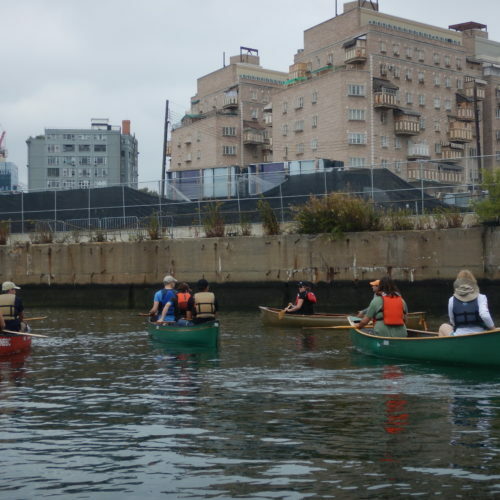 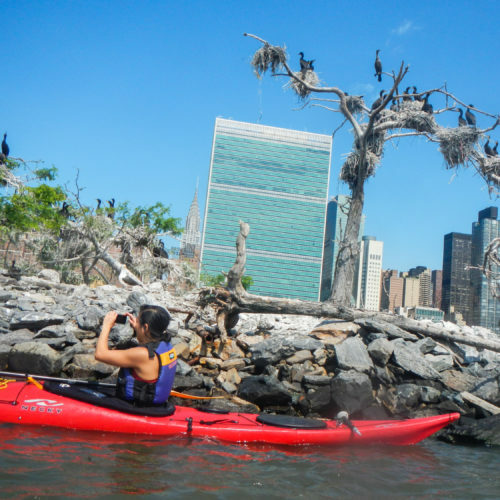 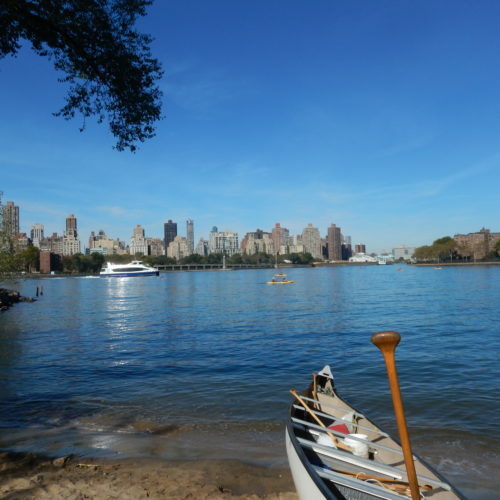 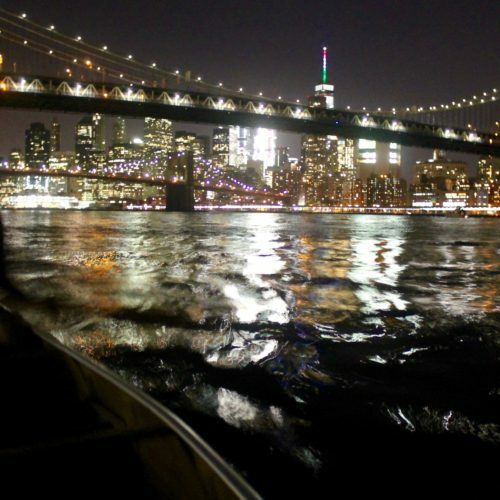 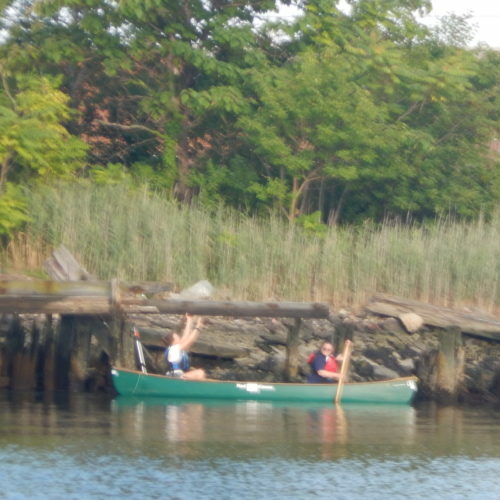 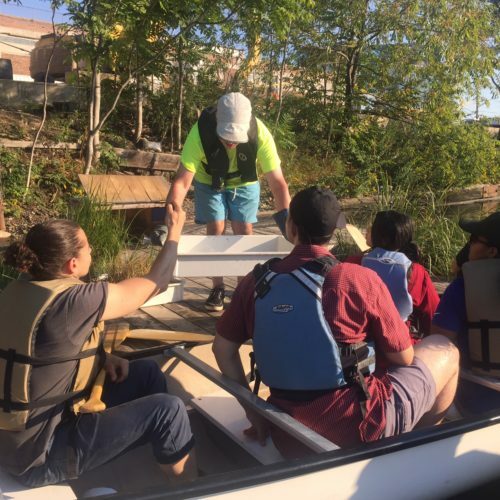 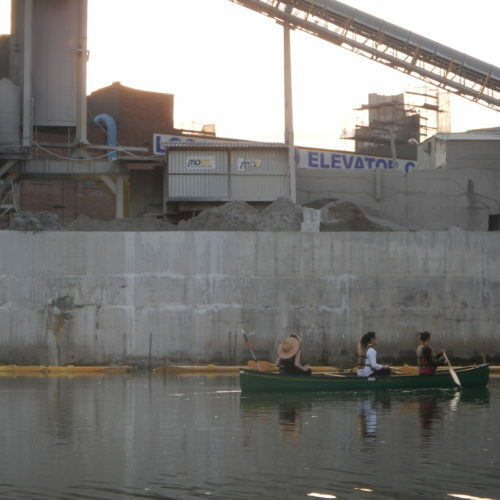 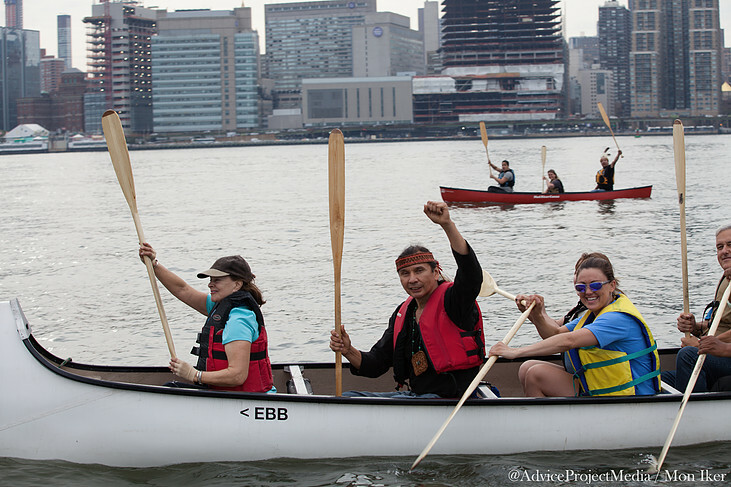 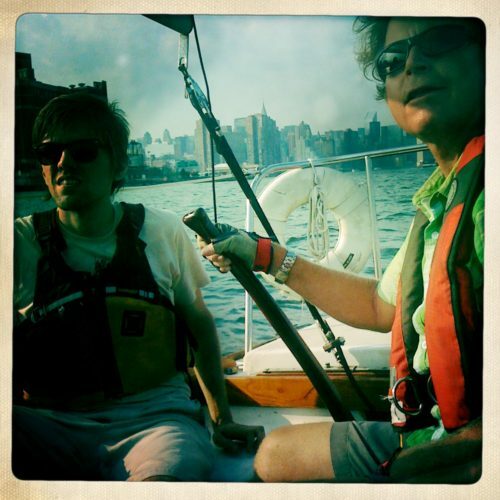 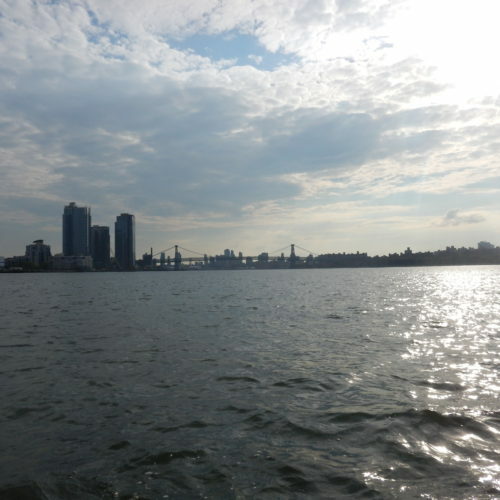 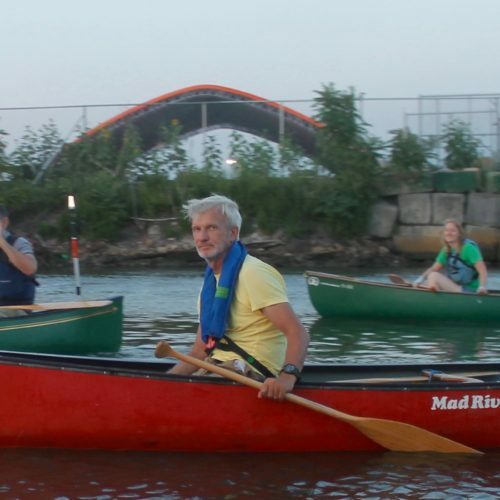 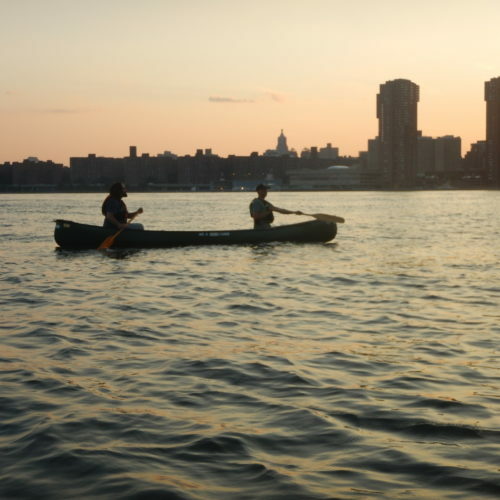 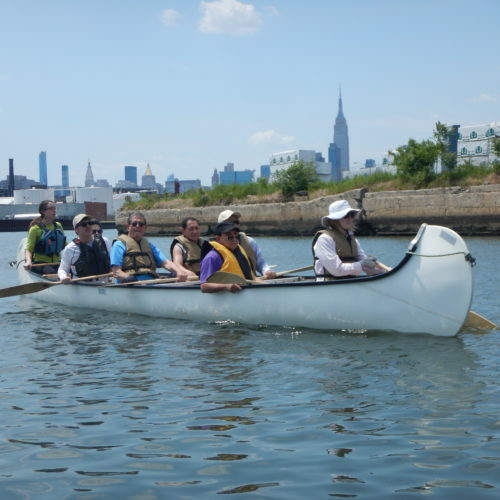 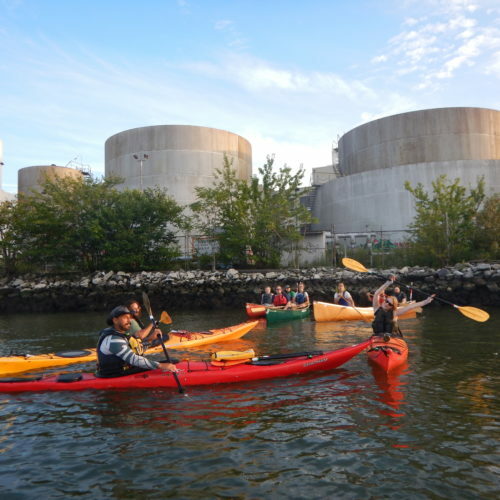 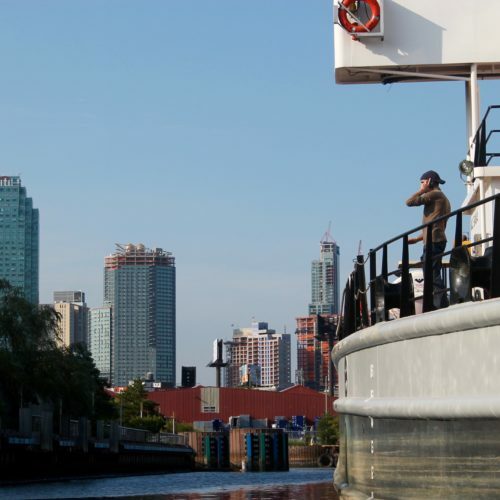 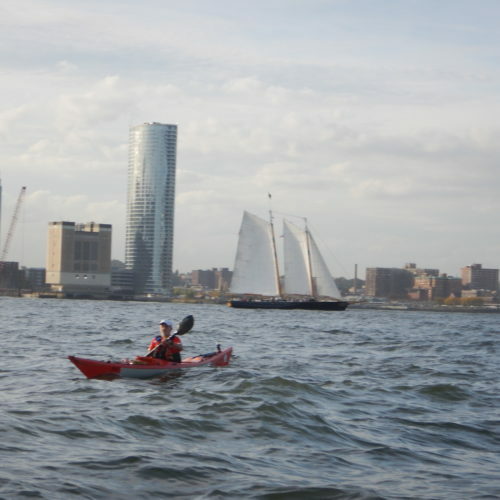 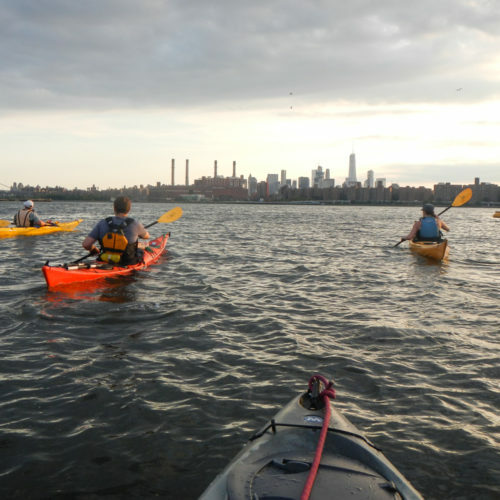 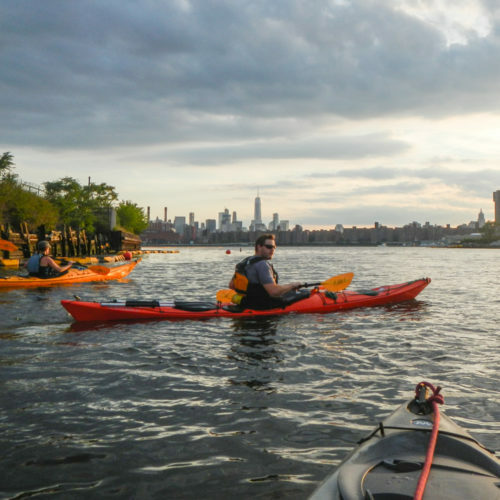 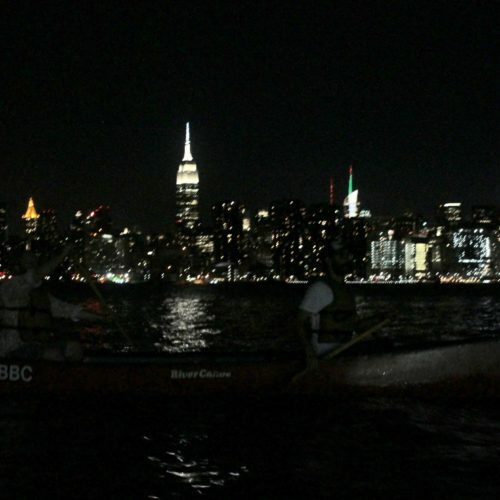 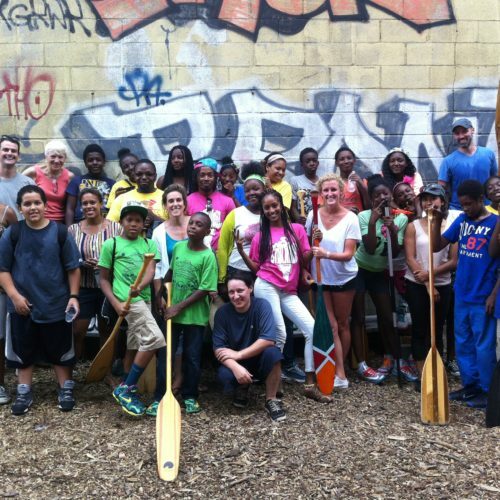 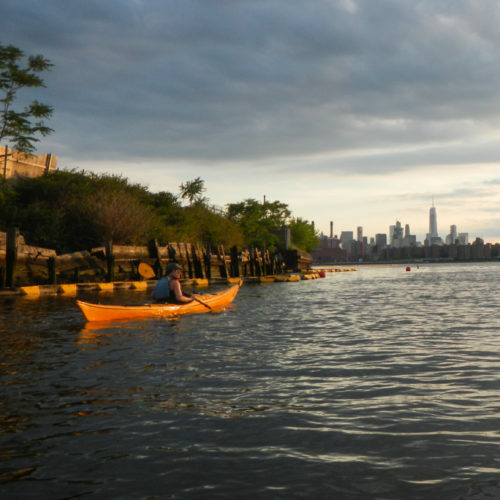 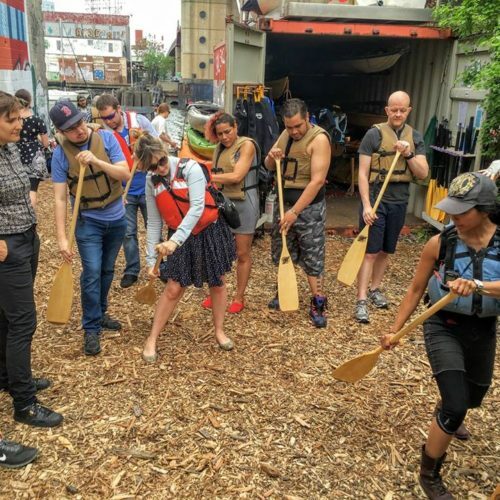 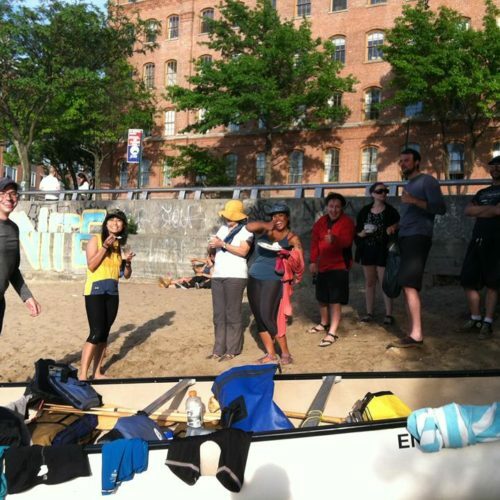 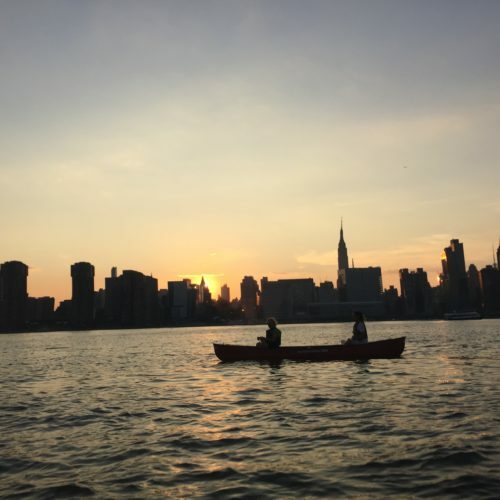 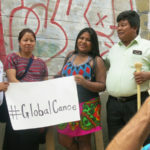 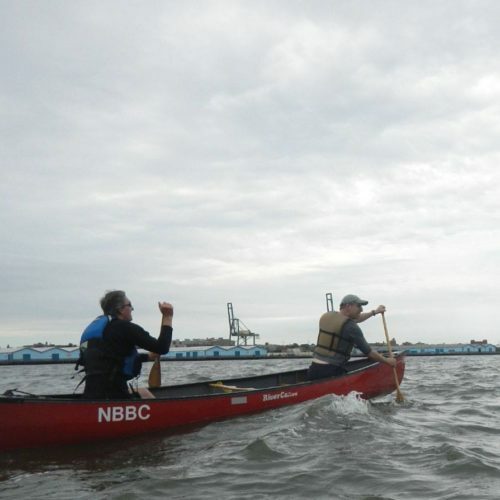 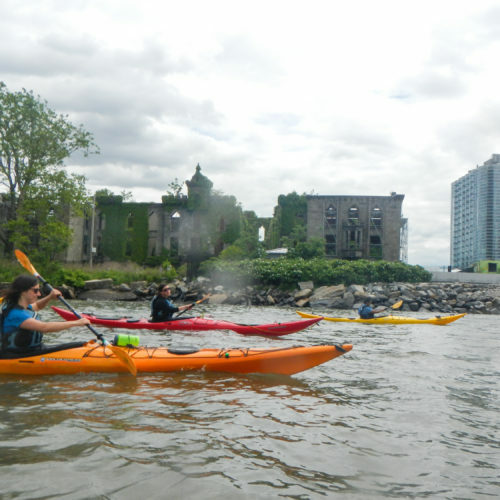 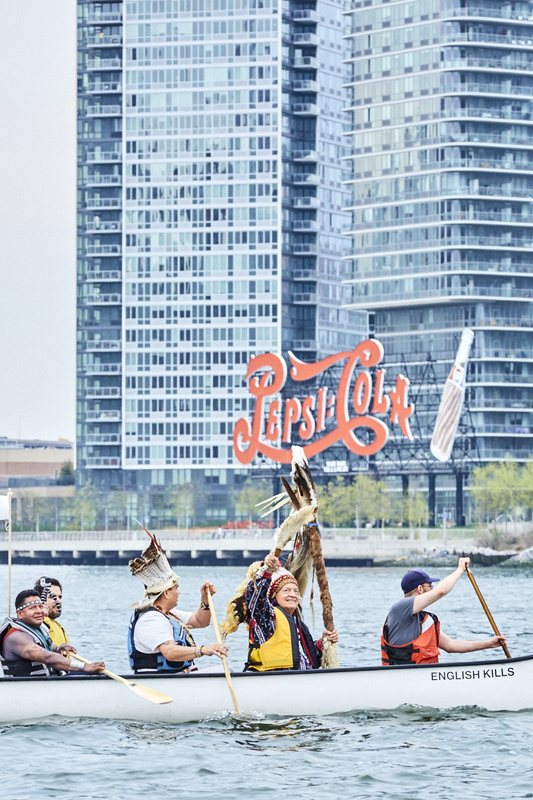 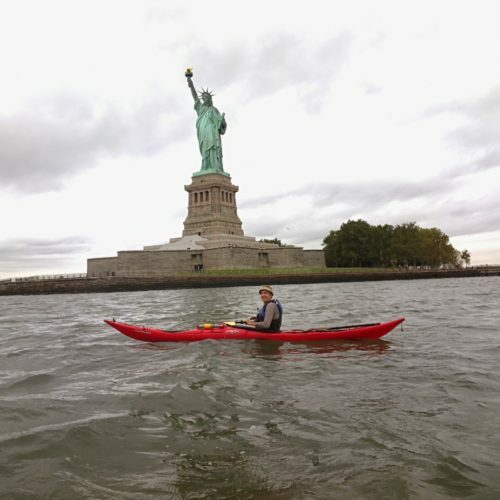 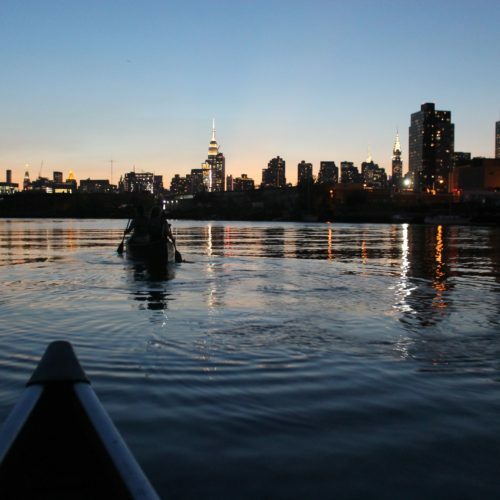 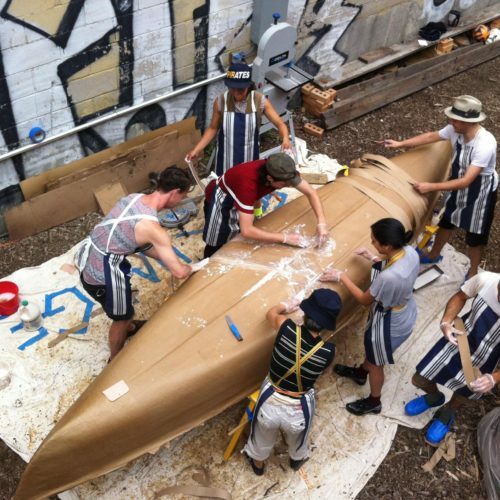 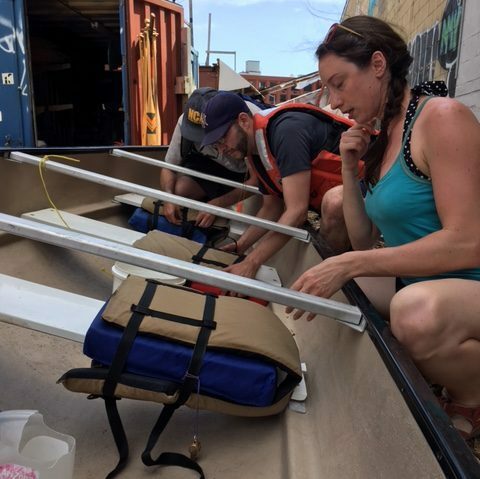 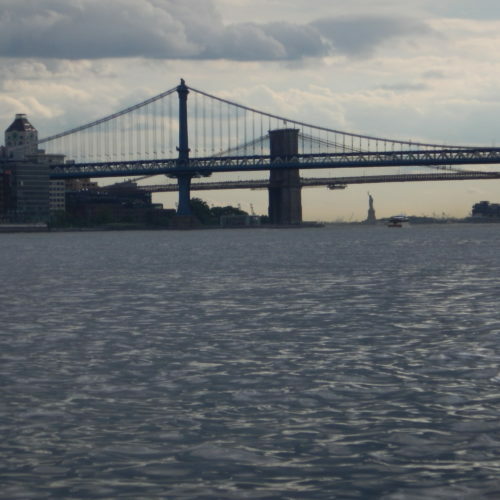 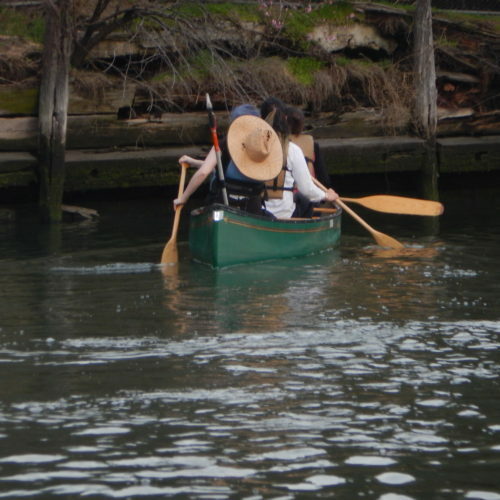 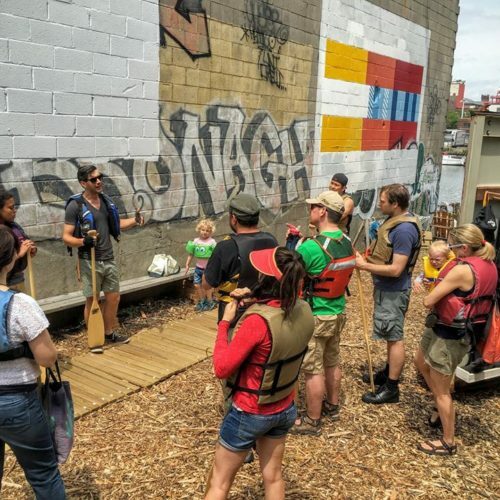 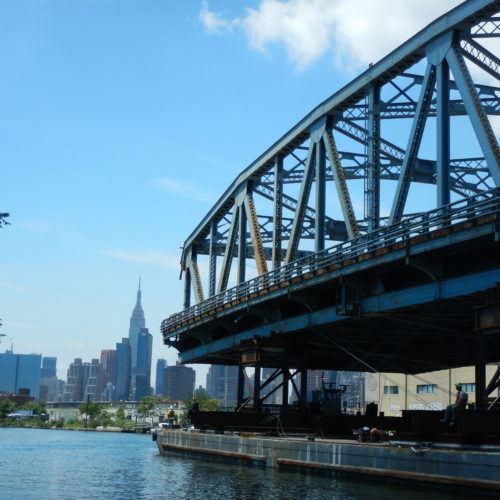 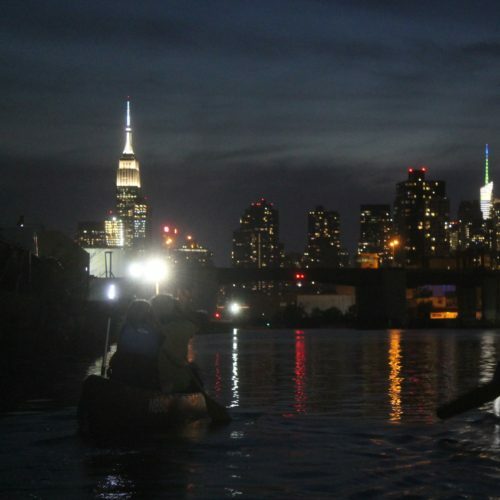 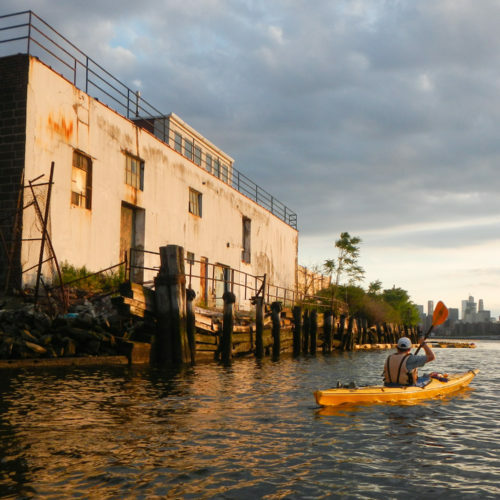 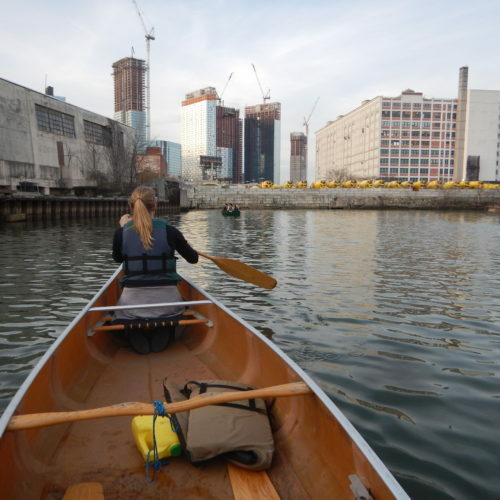 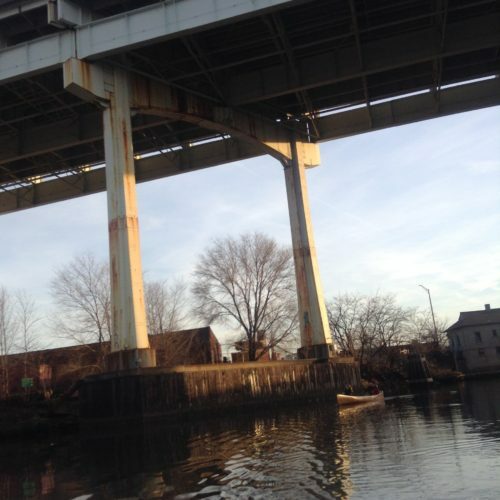 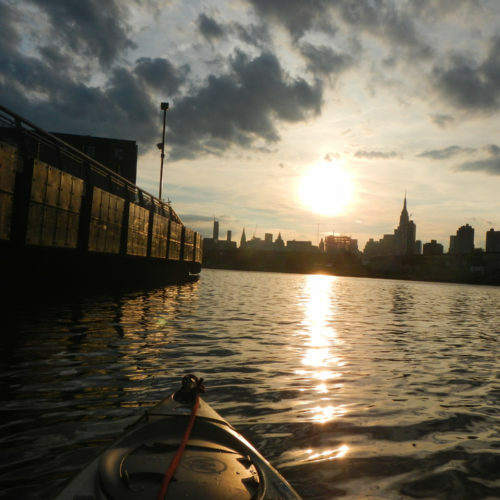 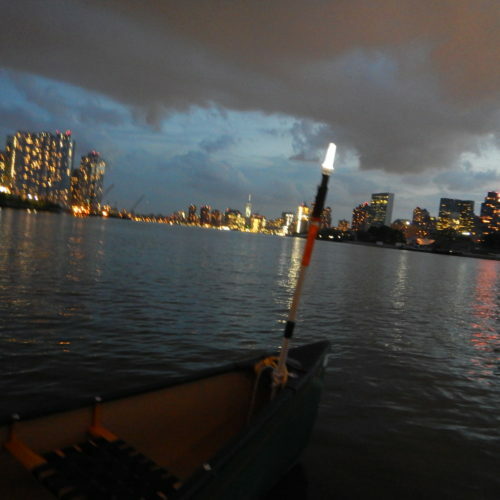 On April 22, 2016, the North Brooklyn Boat Club hosted a Global Canoe event that brought together indigenous people’s leaders from all over the world in an action that sought to highlight the exclusion of indigenous peoples from the Paris climate accords signed with great fanfare that day at the UN. 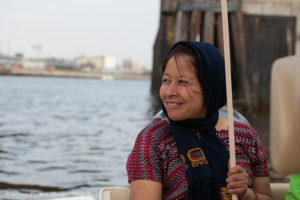 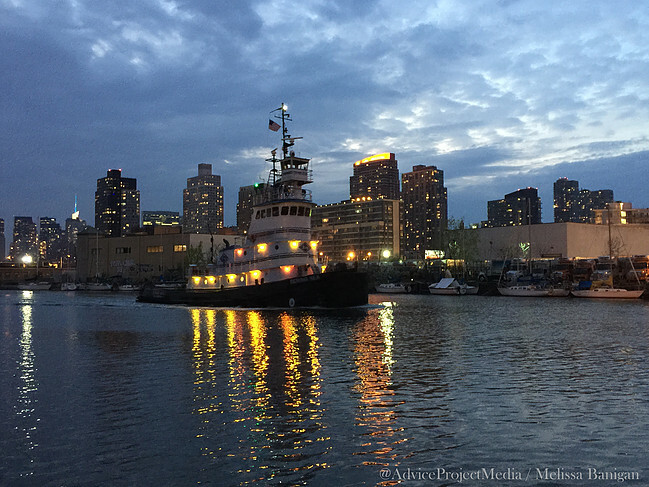 At the Broadway Stages Boatyard, speakers included Candido Mezua, from AMPB; Mina Setra, from AMAN/Indonesia; Jorge Furagaro from Coica/Colombia; Sara Omi, from the Alto Bayano Congress in Panama; and Chief Phil Lane Jr., from Four Worlds International. 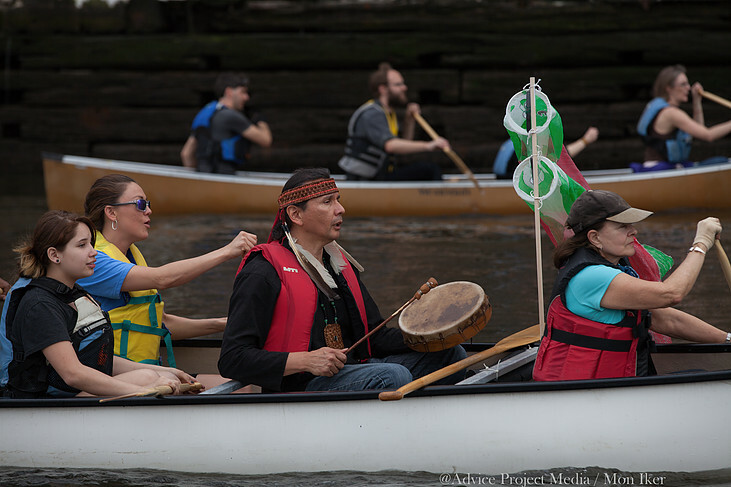 We were joined by members of the Onondaga Nation from upstate New York. 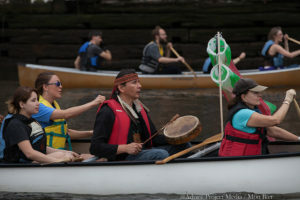 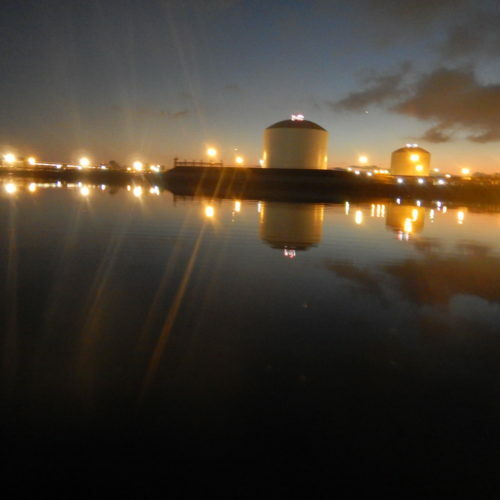 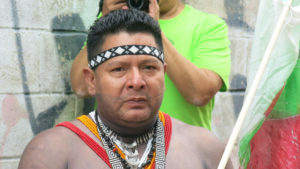 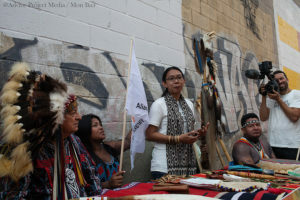 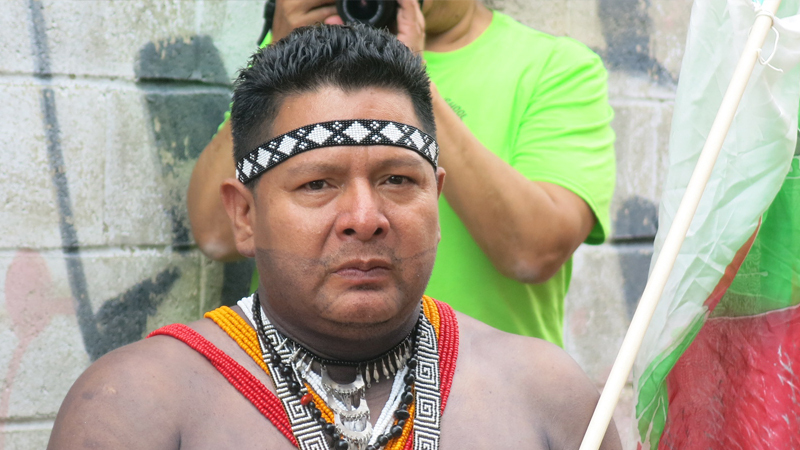 The speeches and ceremonies at the boatyard highlighted the struggles of indigenous peoples, whose rights are ignored and whose people are murdered by both the forces of globalization and the very governments celebrating their “accords” on the other side of the river. 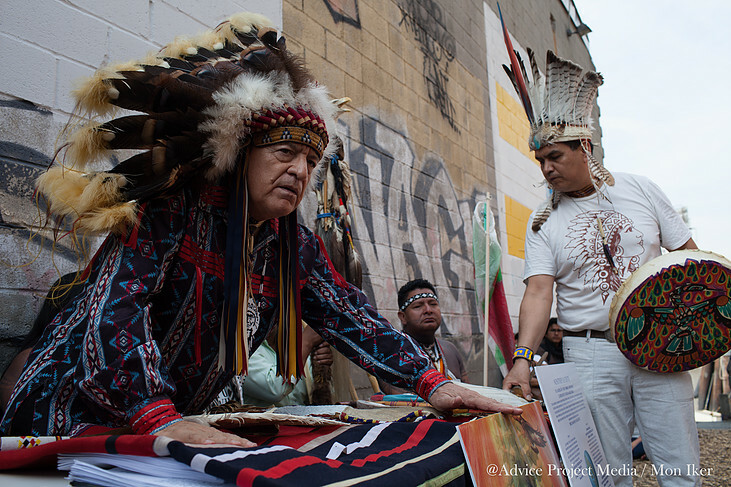 Chief Lane spoke of a 500-year-old prophecy that predicted that the peoples of the eagle, the condor, and the coatl would come together in a time of danger and that their meeting would usher in a new age of healing for the world. 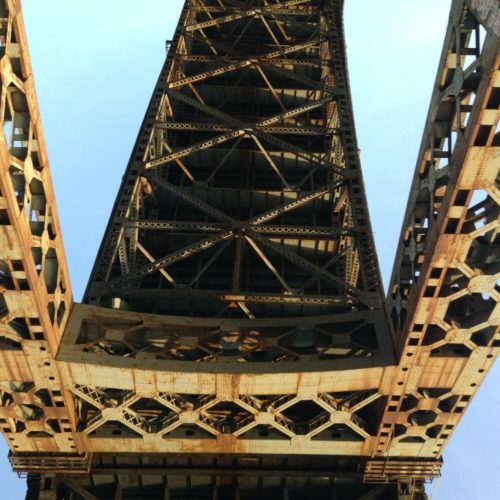 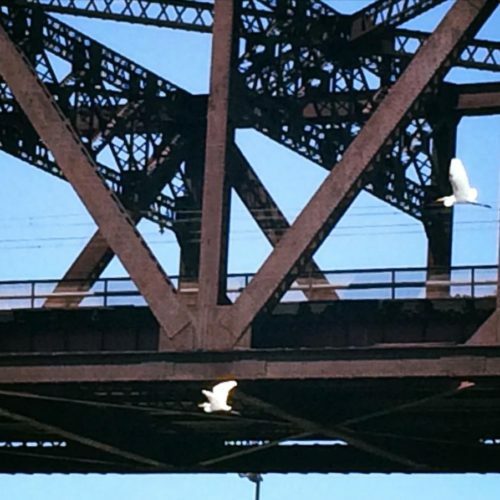 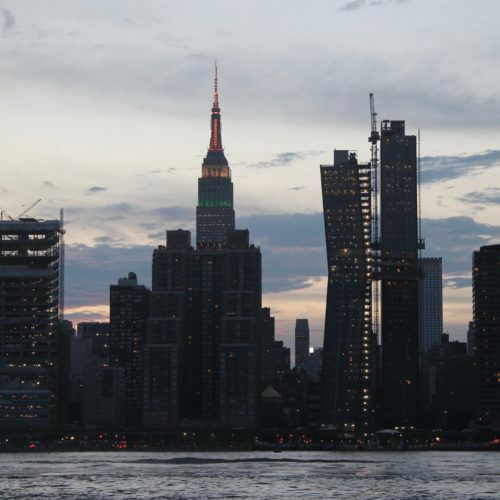 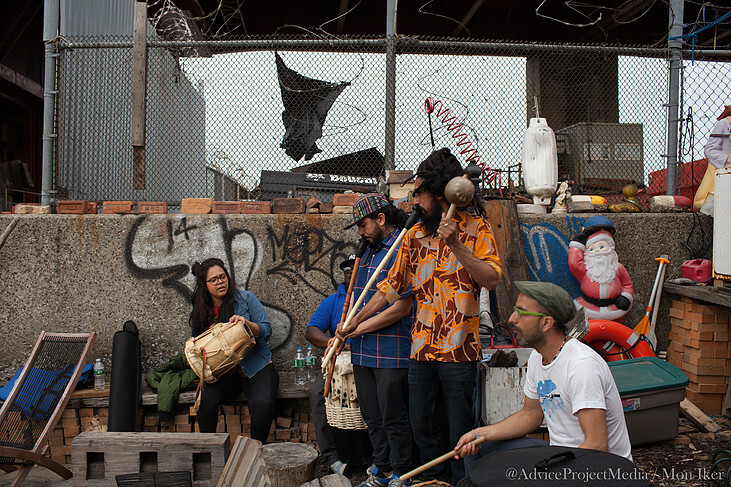 He declared that that day had arrived and that the prophesied meeting was taking place right there in Greenpoint. 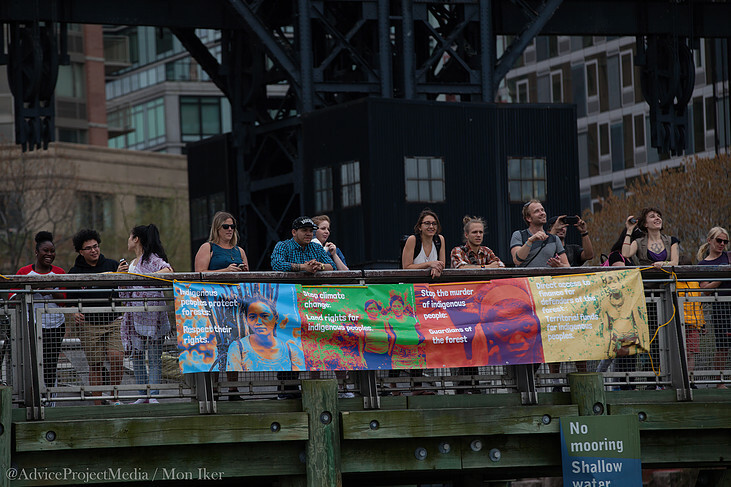 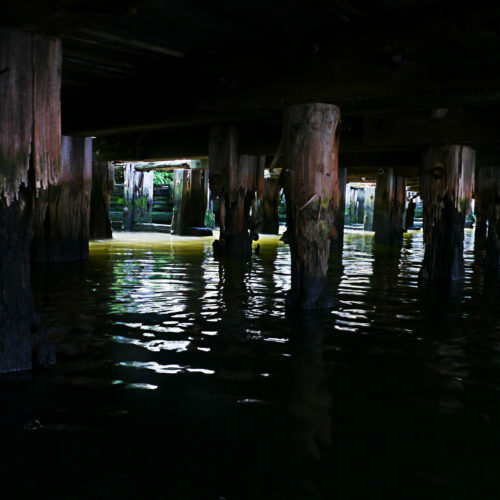 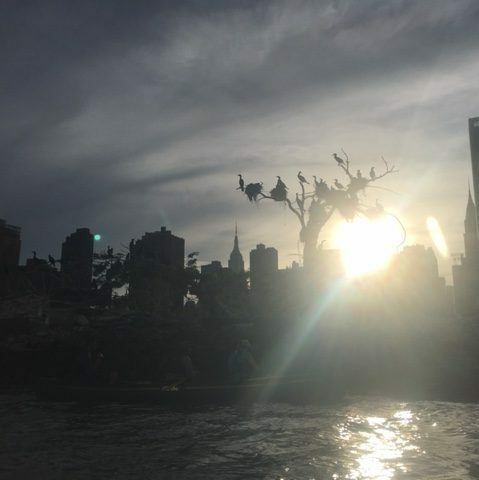 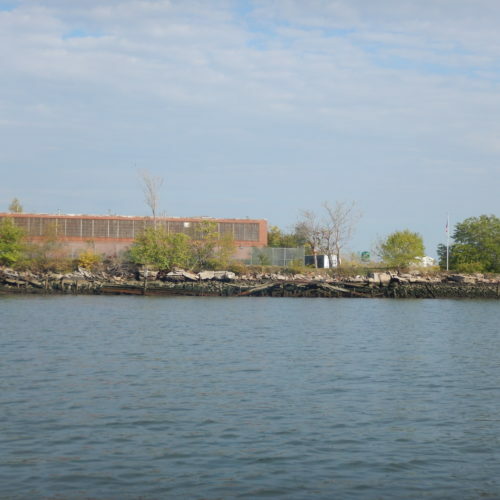 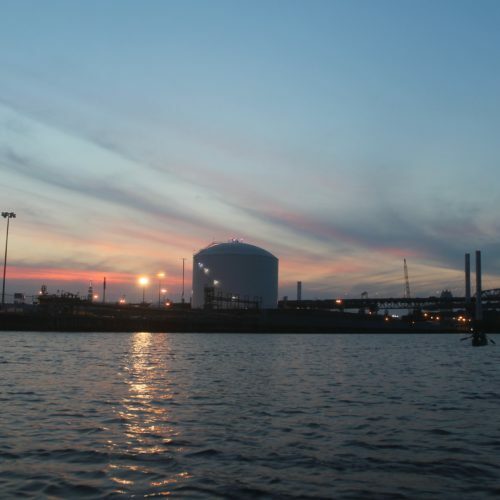 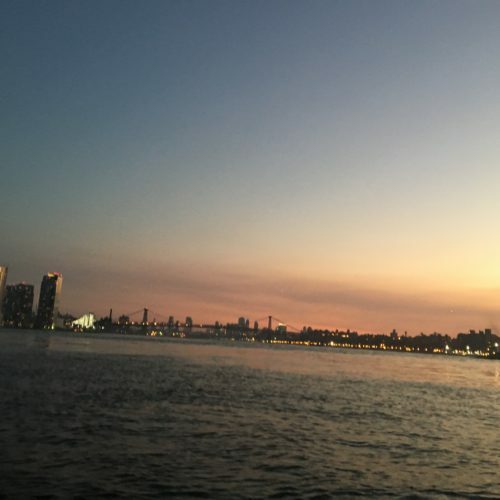 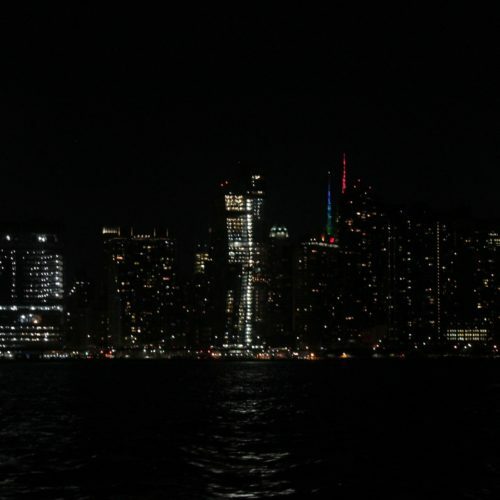 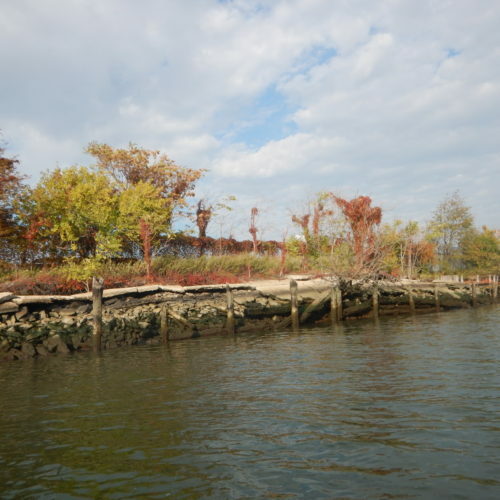 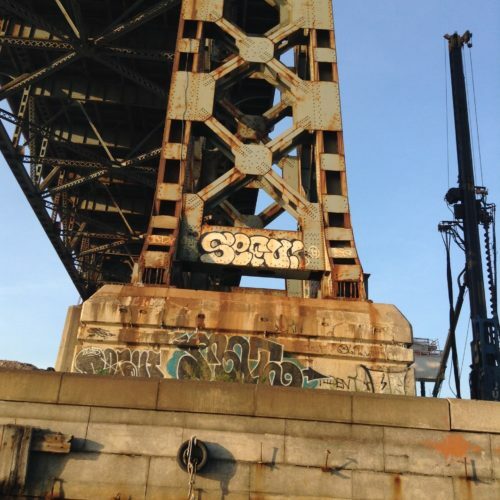 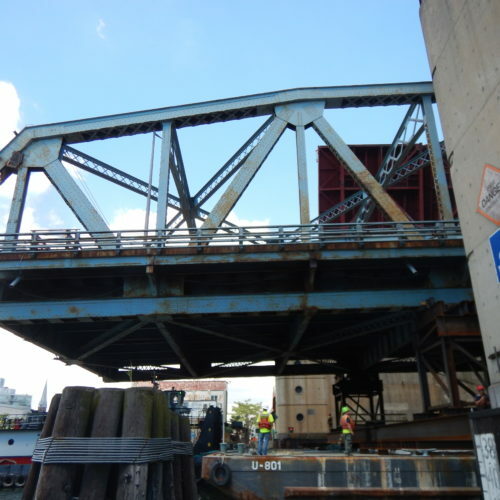 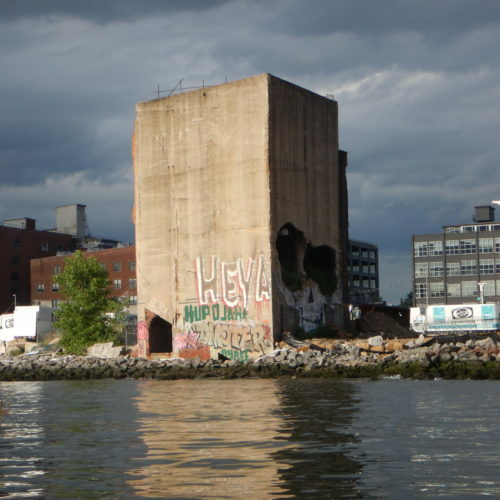 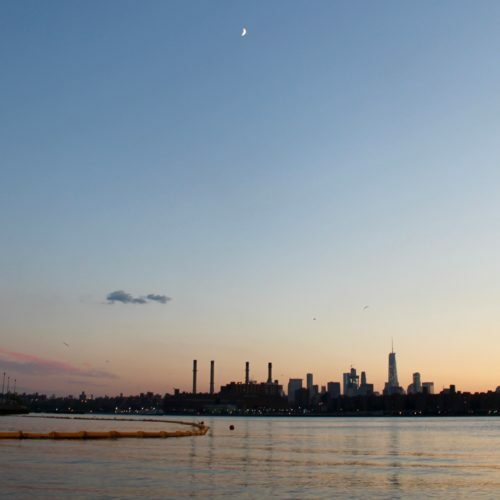 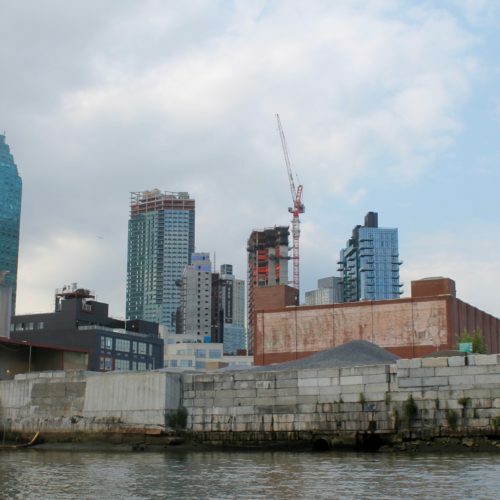 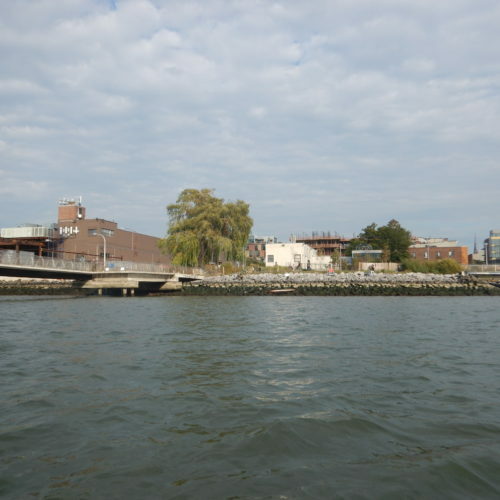 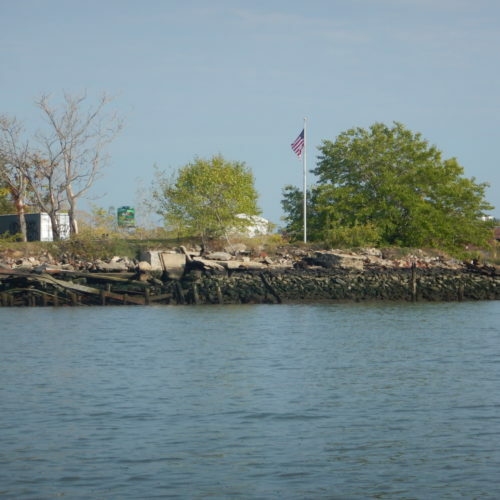 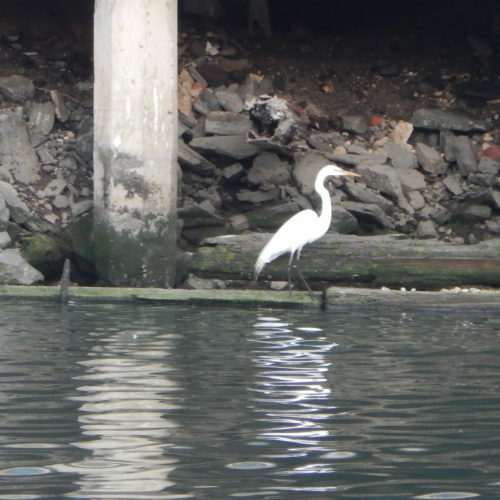 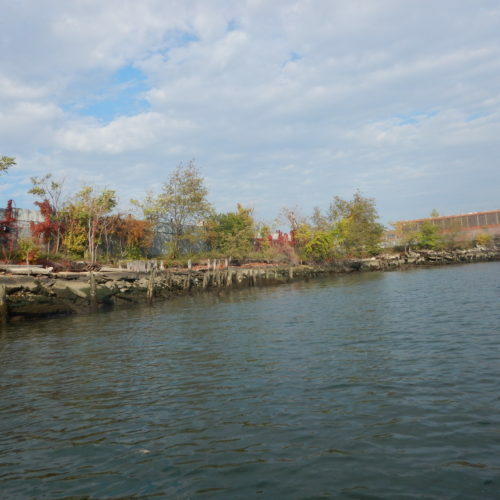 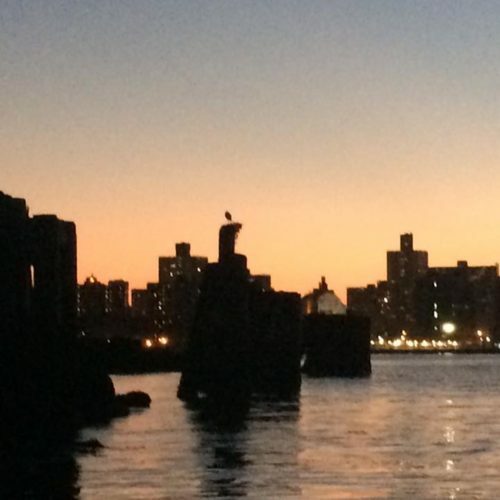 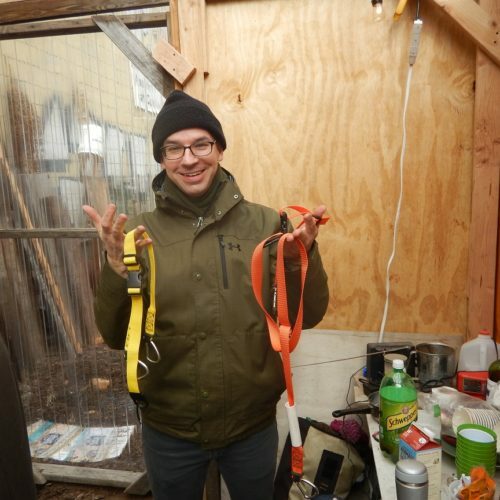 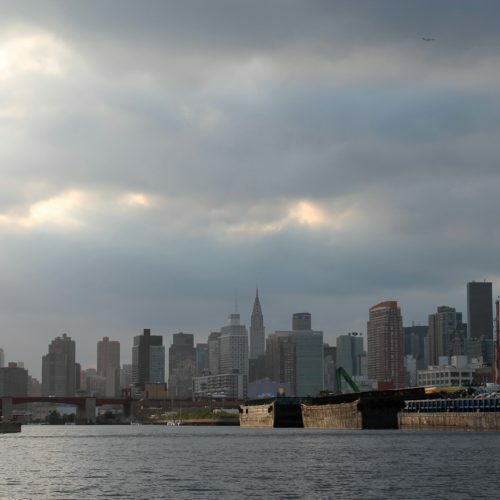 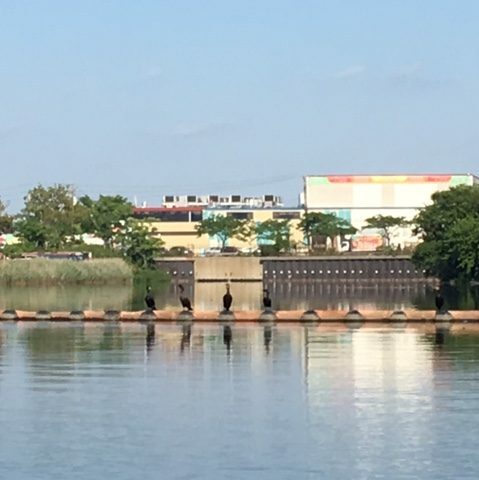 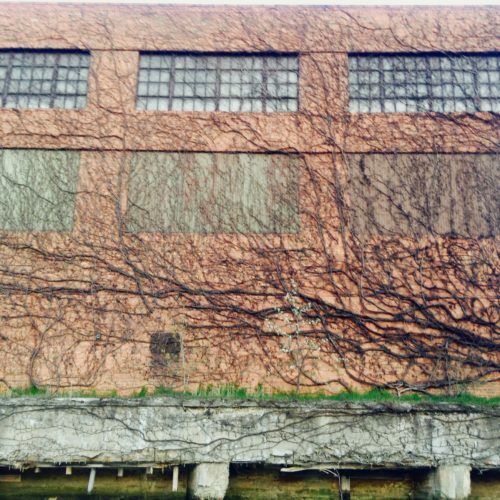 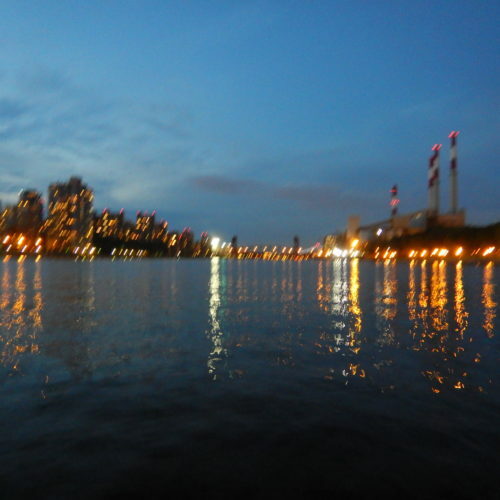 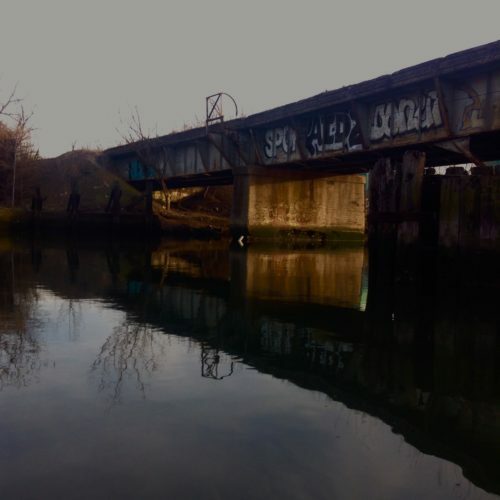 All the peoples, including the Brooklynites, then gathered together back at the boatyard to sing and play and be together and hope that the plea had been heard. 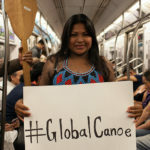 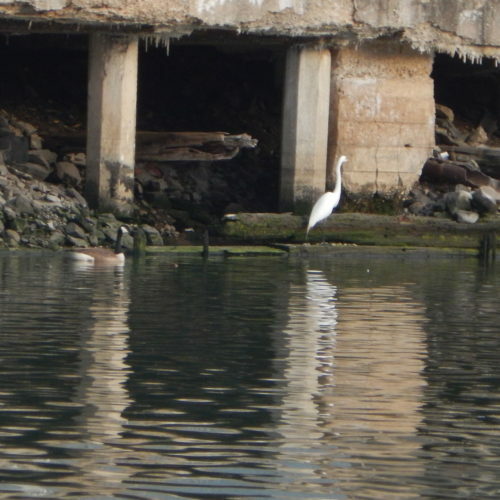 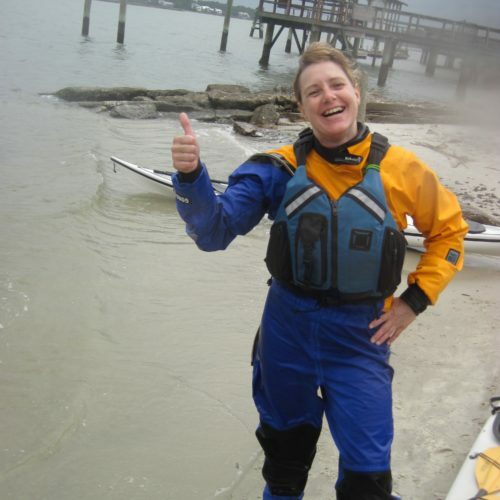 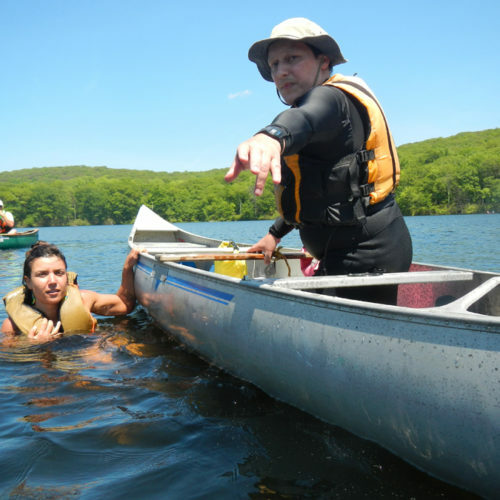 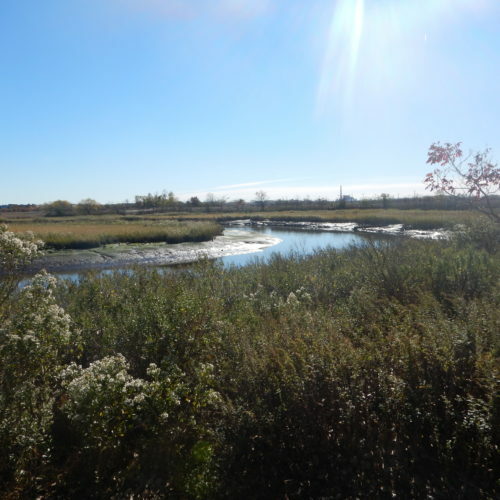 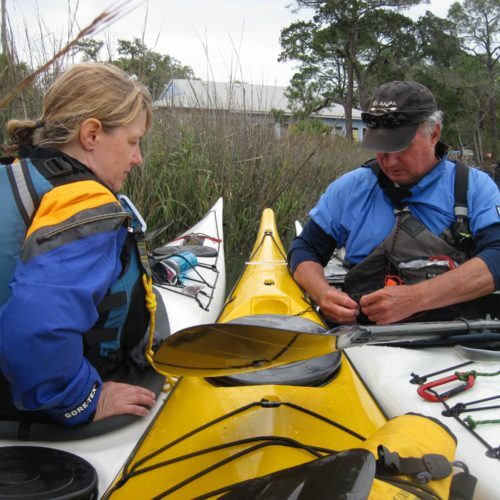 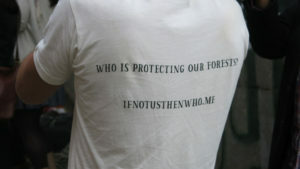 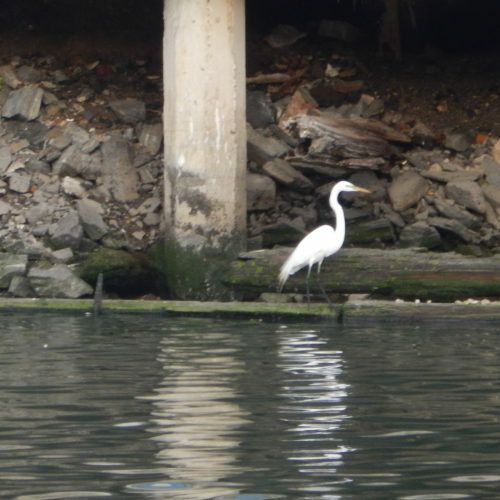 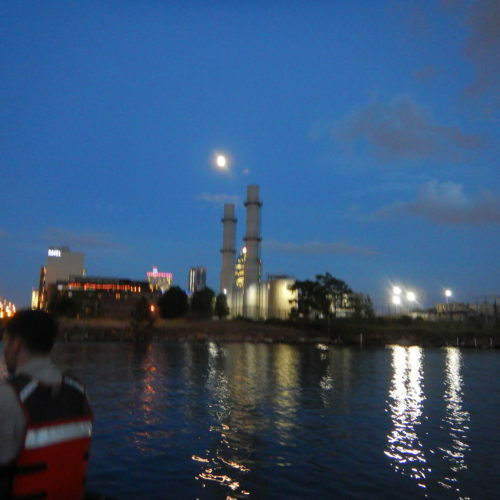 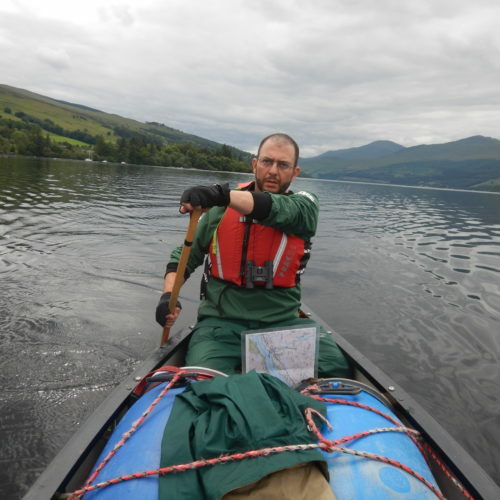 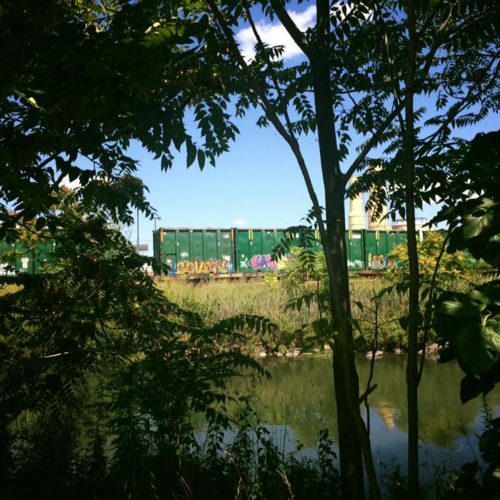 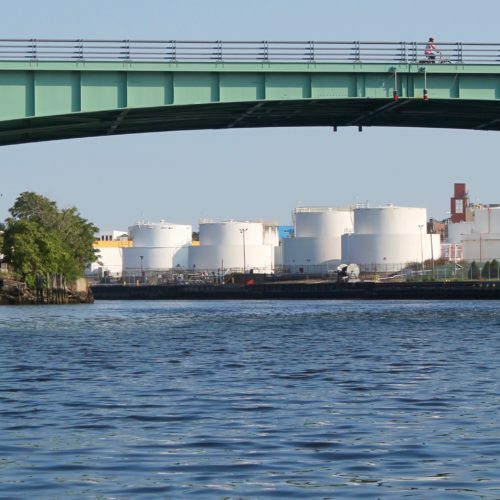 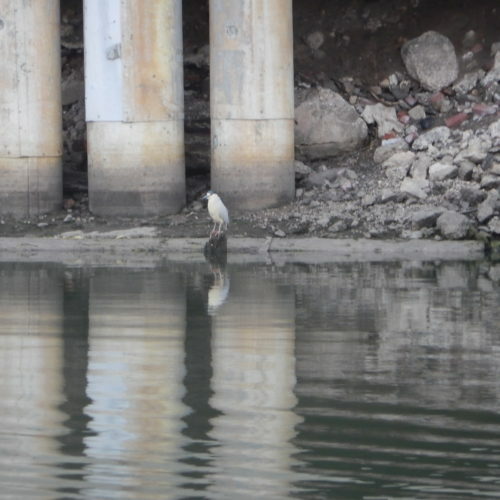 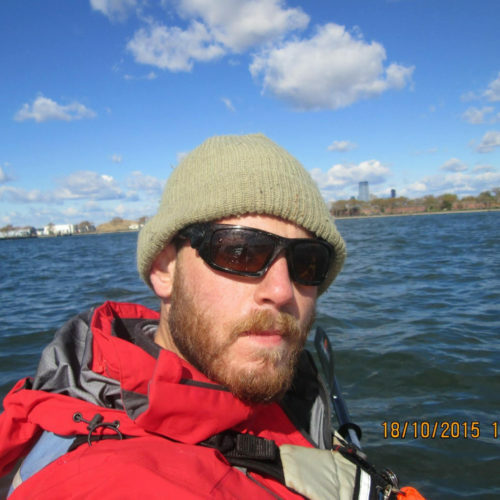 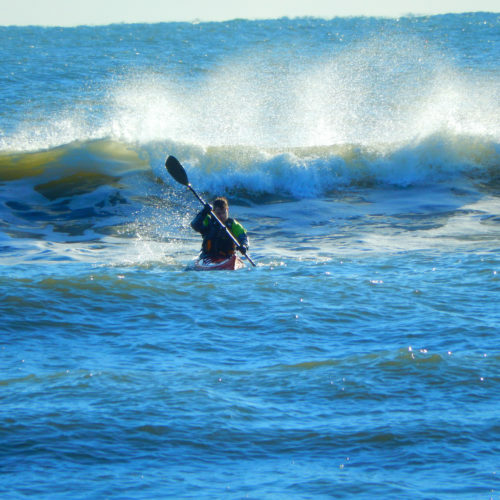 This entry was posted in Uncategorized and tagged advocacy, canoe, community, Global Canoe, protest, urban environmentalism on May 26, 2016 by M. H..